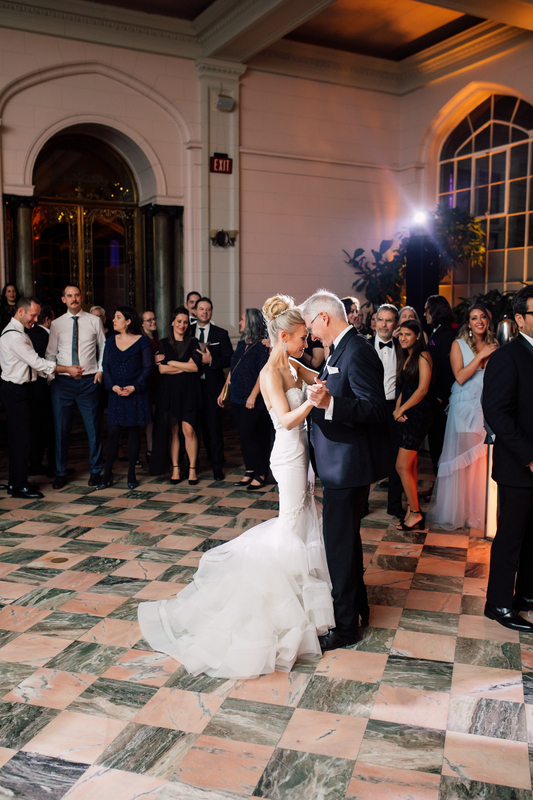 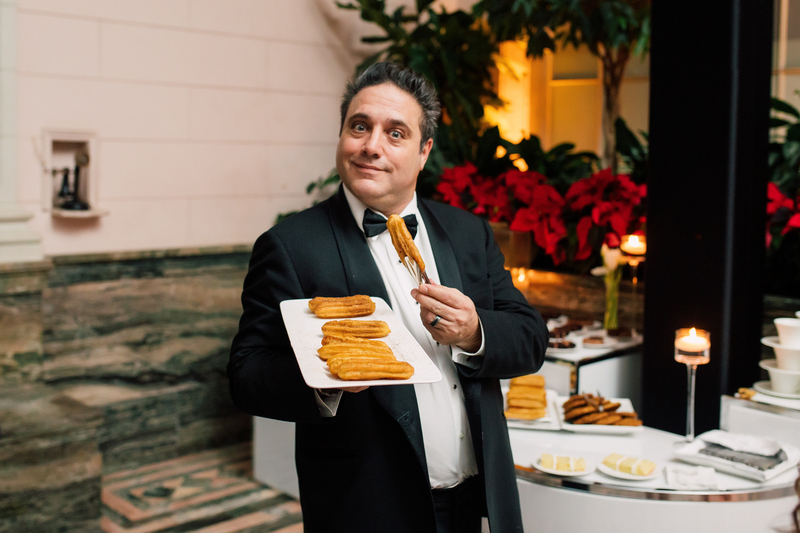 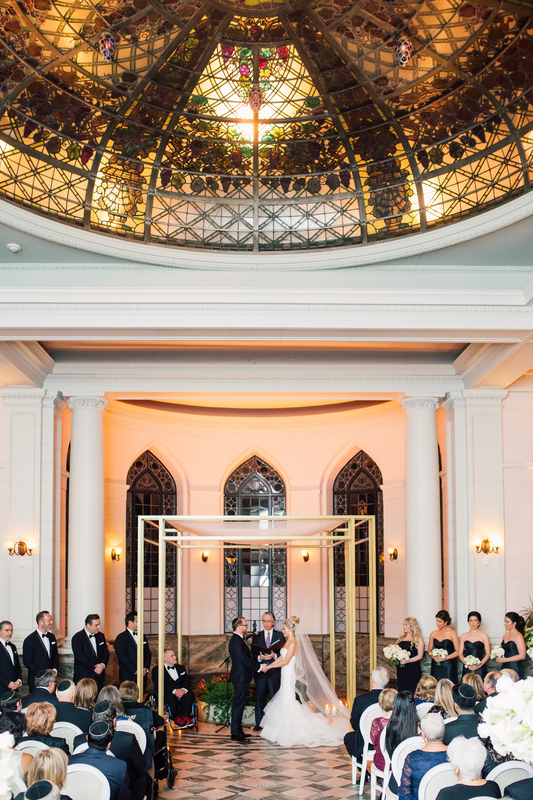 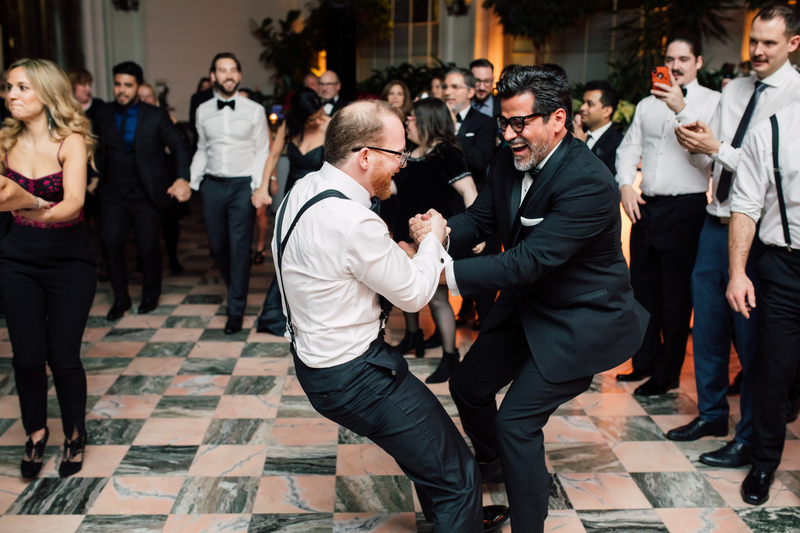 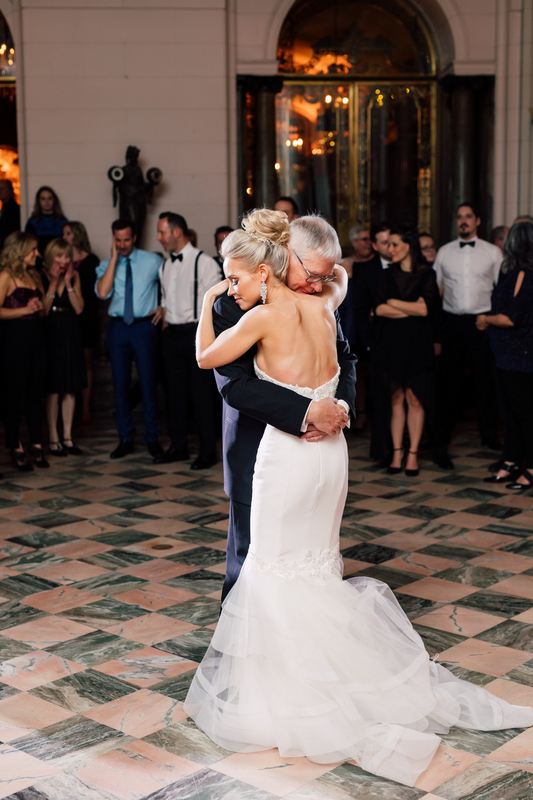 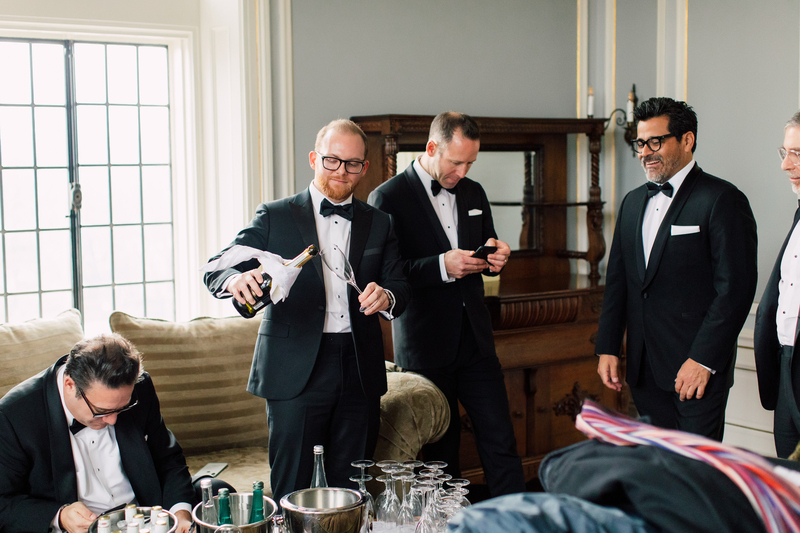 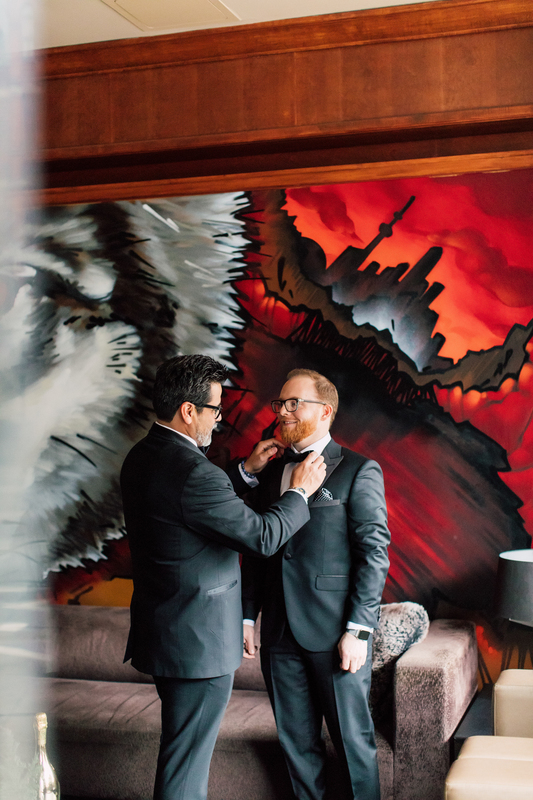 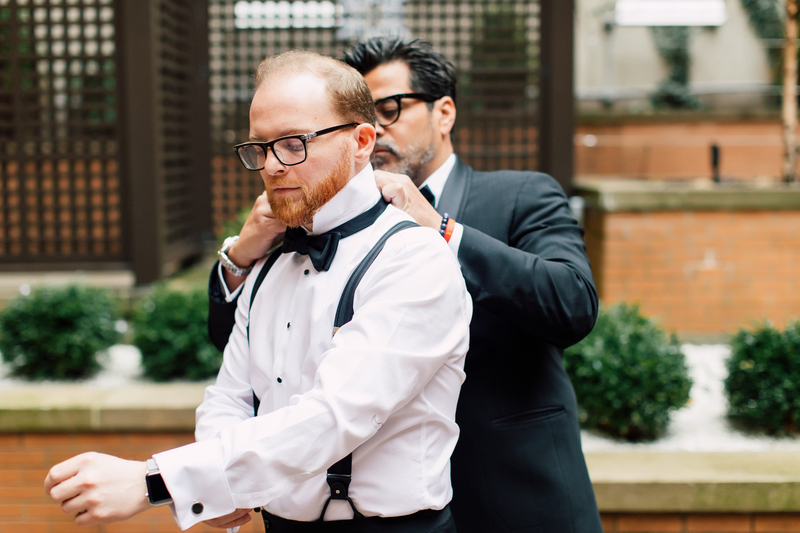 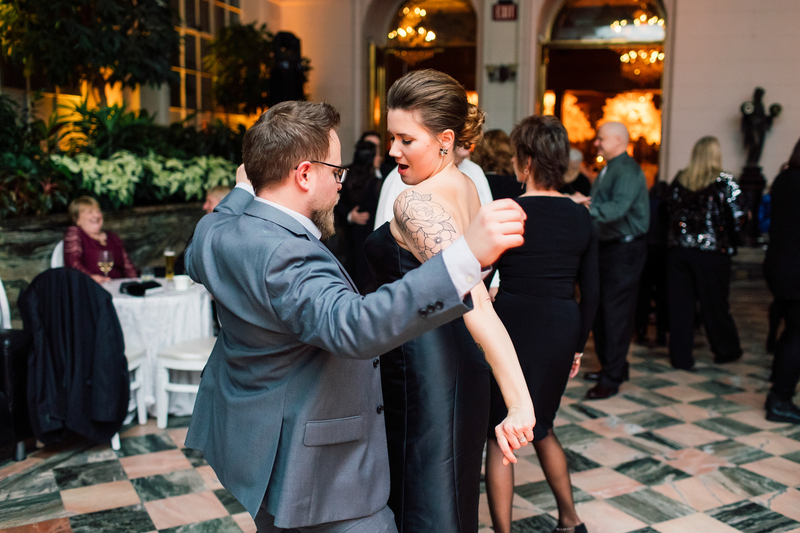 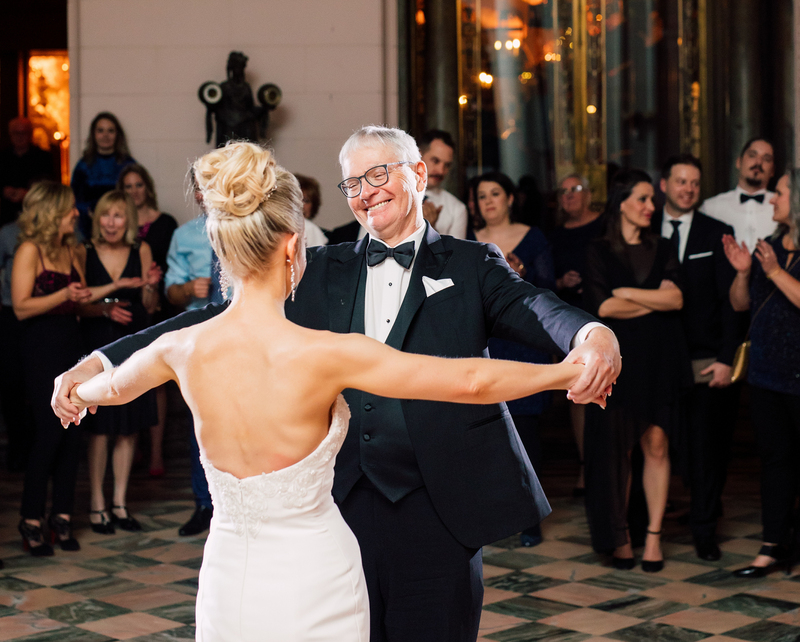 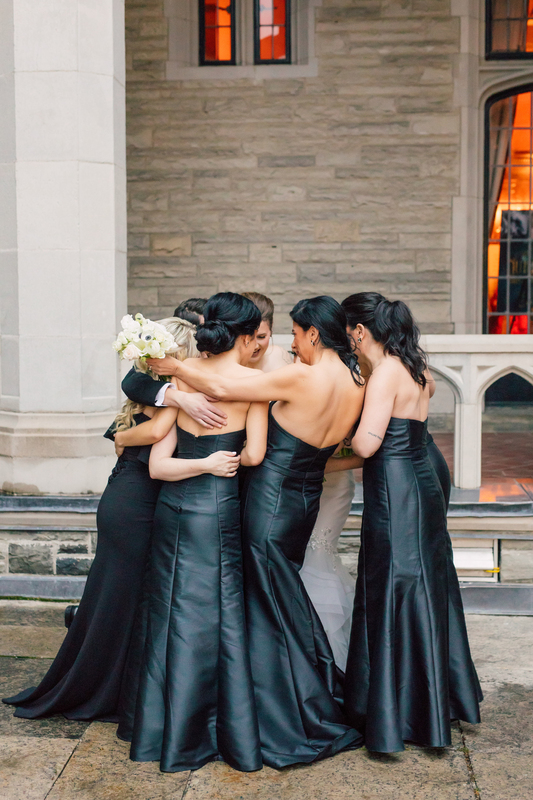 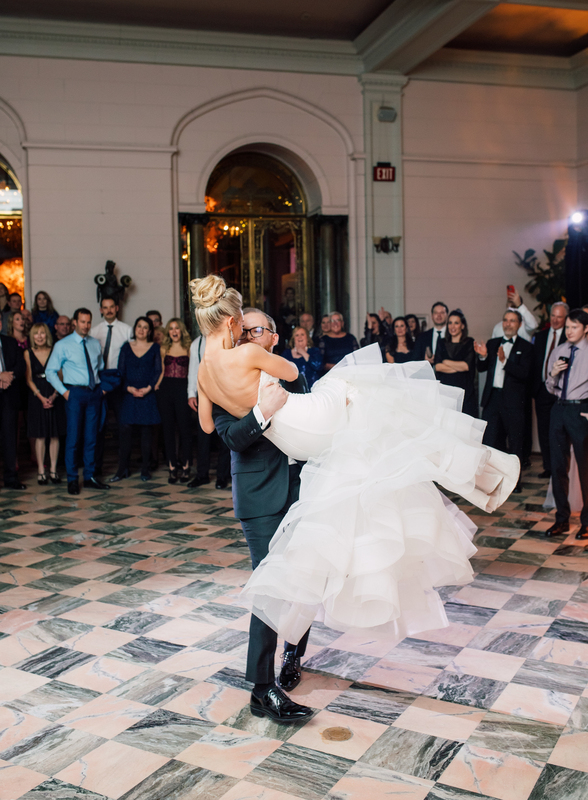 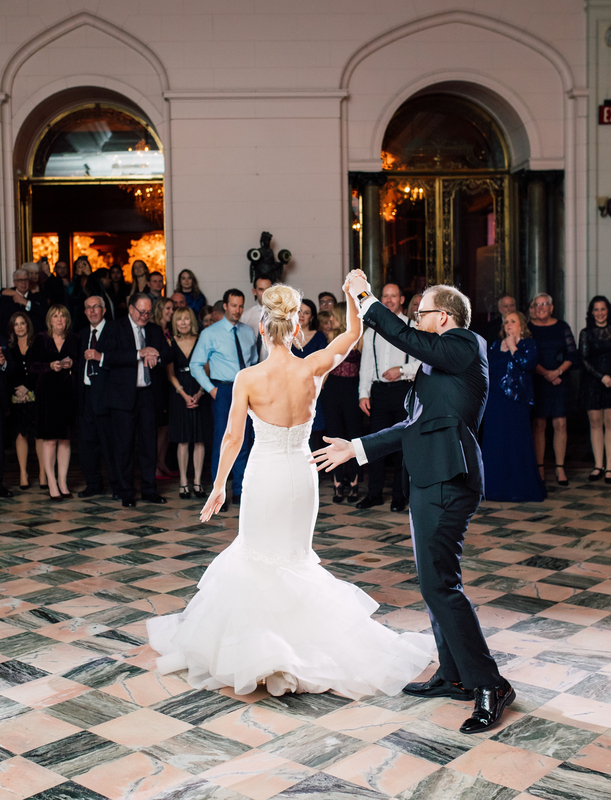 Can we say again how much we love shooting at Casa Loma? 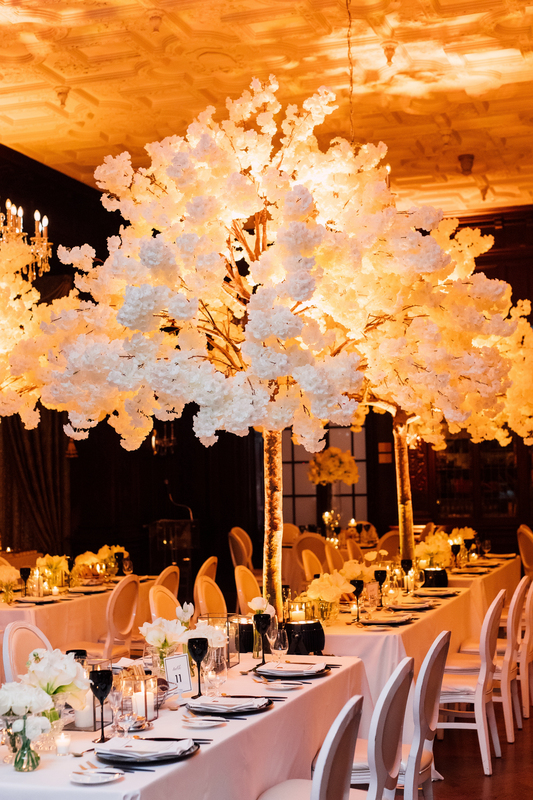 No matter the season, it’s magical any time of year. 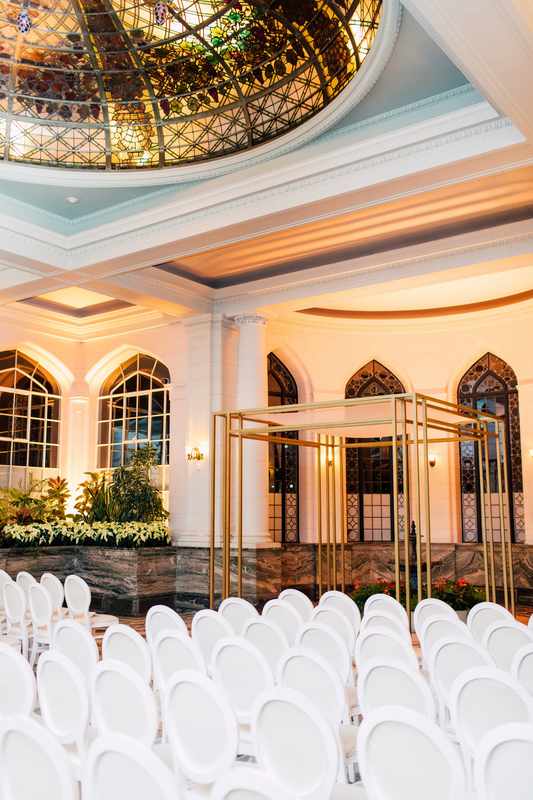 From blooming summer florals to classic spring pastels, this venue can adapt into any bride and groom’s dreams. 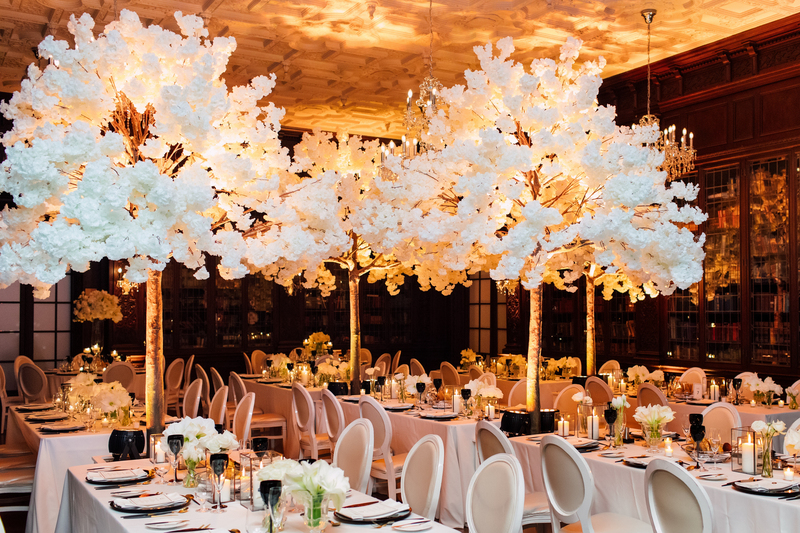 This winter fairy tale is definitely proof that Casa Loma can be transformed into anything you can imagine! 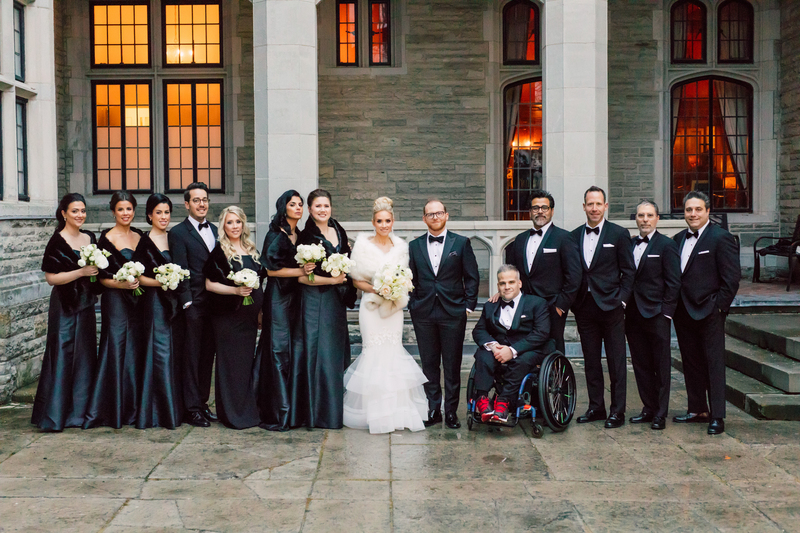 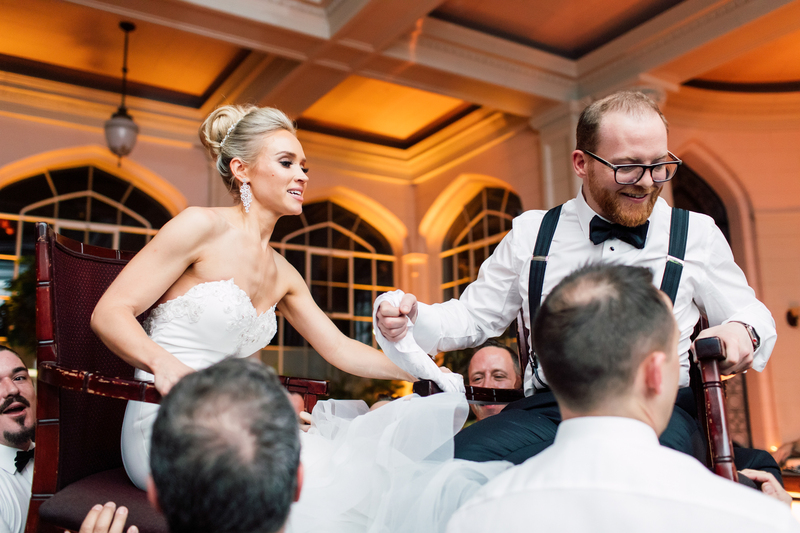 Sarah and Cory’s story is one for the movies. 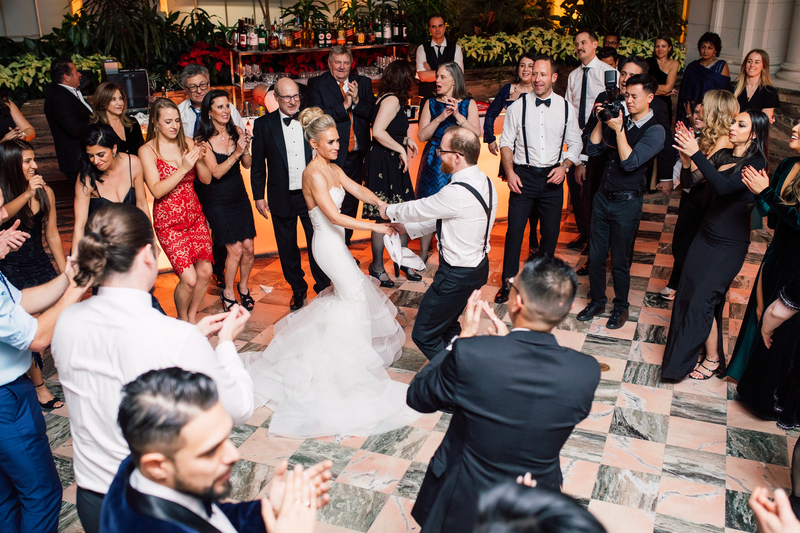 Meeting at summer hockey camp when they were younger, they lost touch for over 10 years until Sarah saw a note from Cory on their camp’s alumni website explaining how he was working in India as well as his contact details. 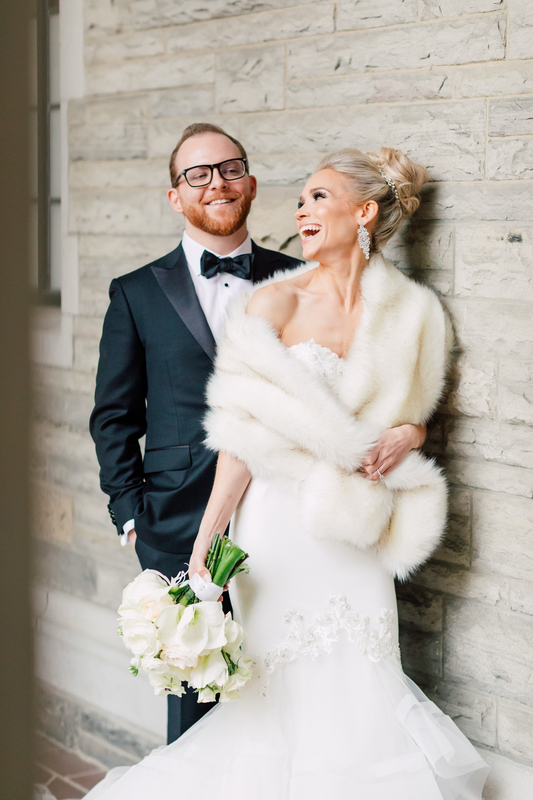 “I emailed him to say “hey, do you remember me?” and he wrote back right away, saying “of course! 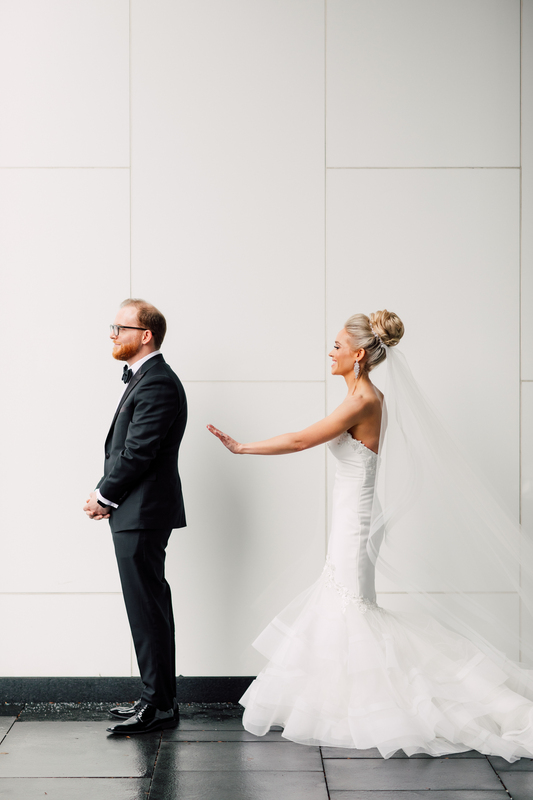 my first girlfriend”. 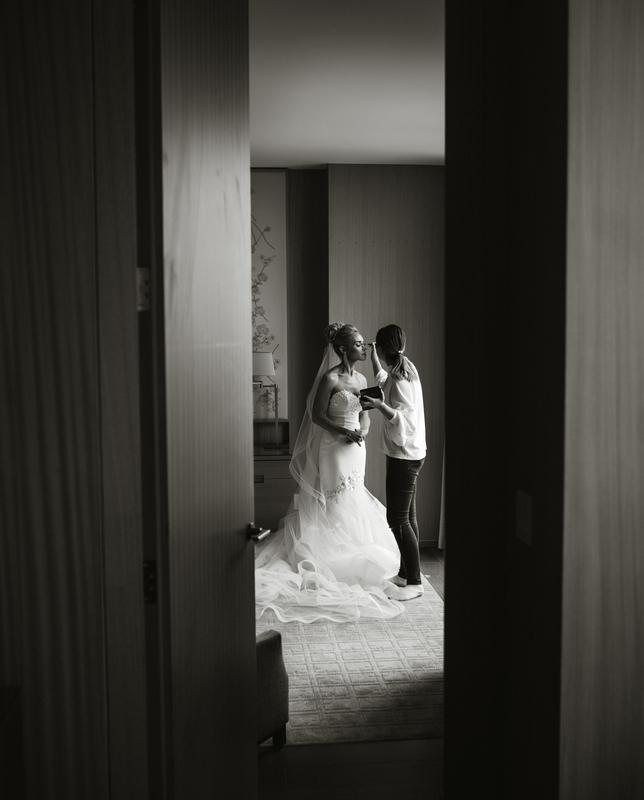 An adorable start to their beautiful love story. 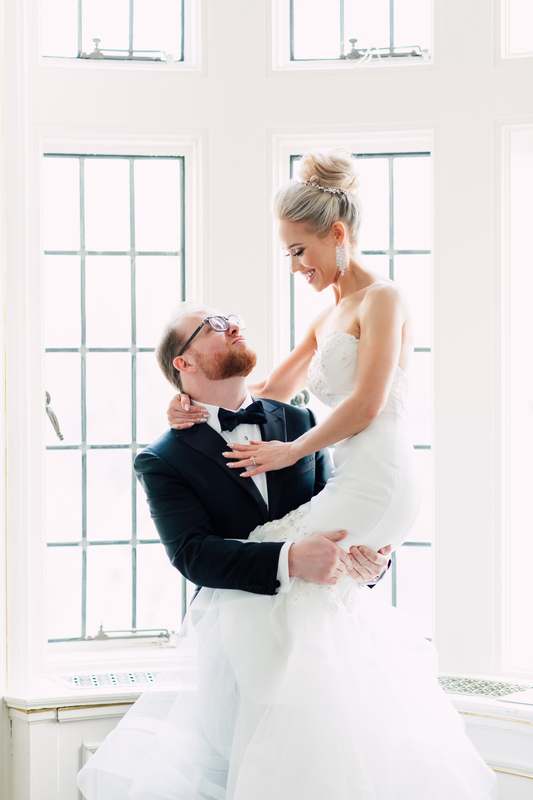 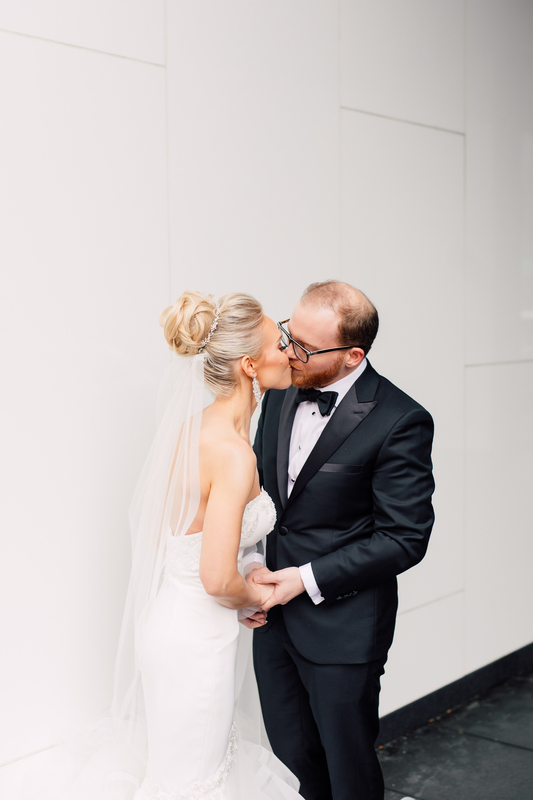 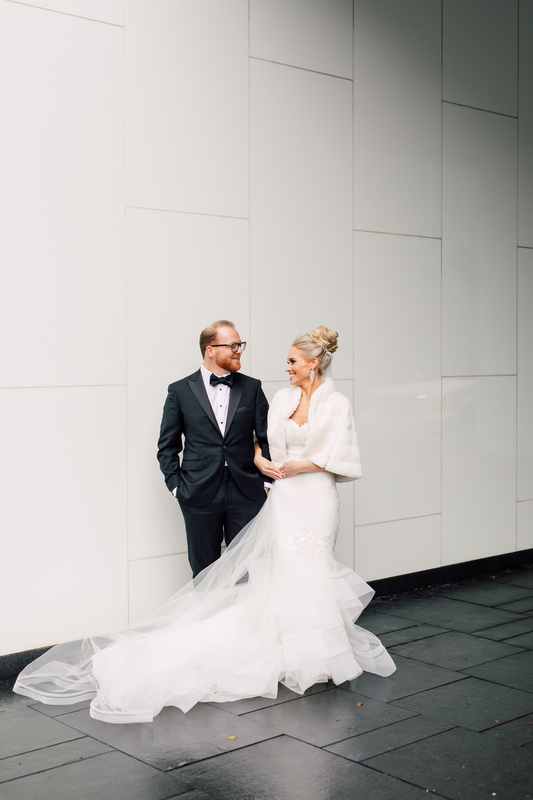 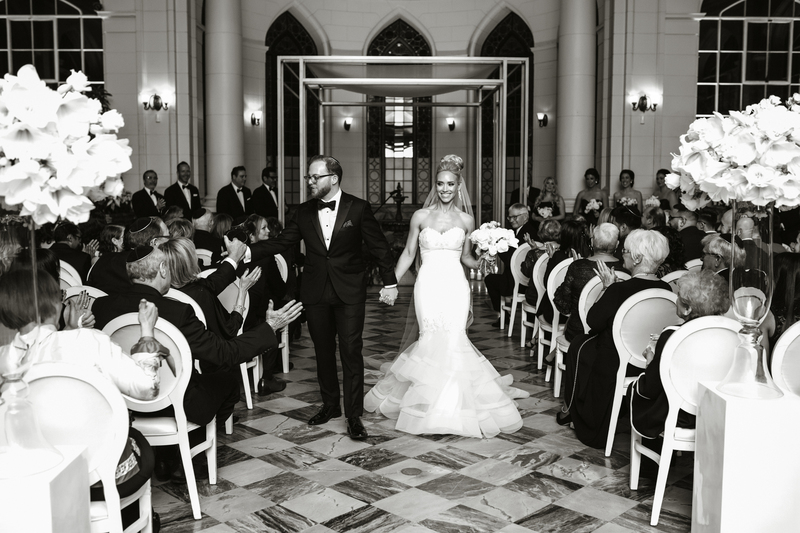 Sarah looked so incredibly elegant and timeless in her Enzoani wedding dress. 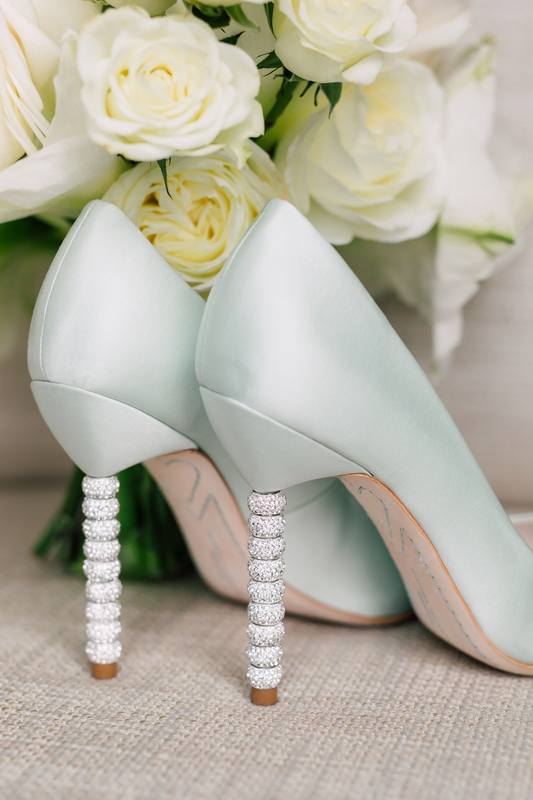 And her Sophia Webster shoes were jaw-droppingly gorgeous! 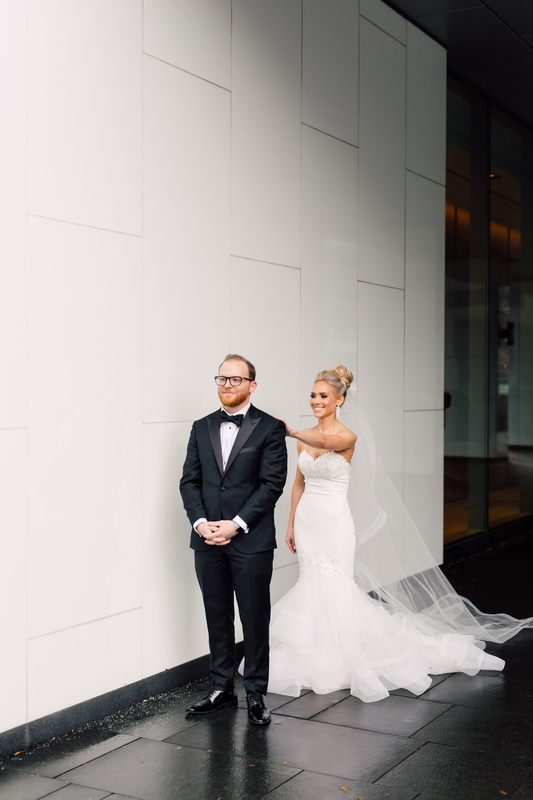 The crystal heels are the perfect embellishment to compliment the detailing on her dress (and we love the “Wifey For Lifey” on the bottom!). 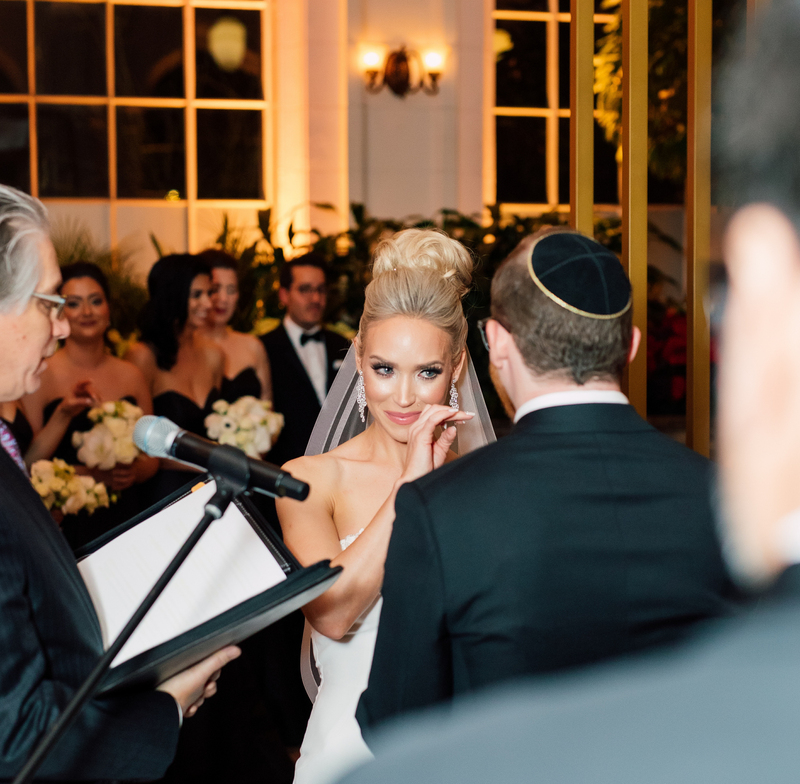 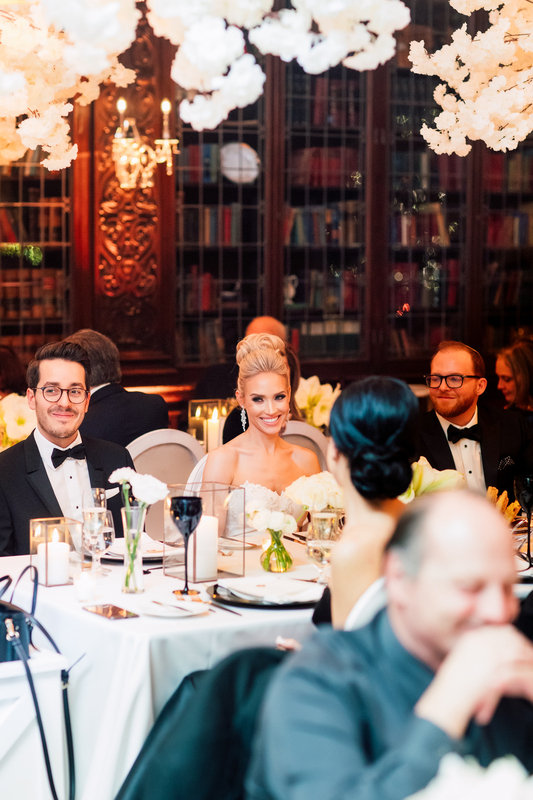 With her hair and makeup done by Jen Evoy, she looked sophisticated and graceful. 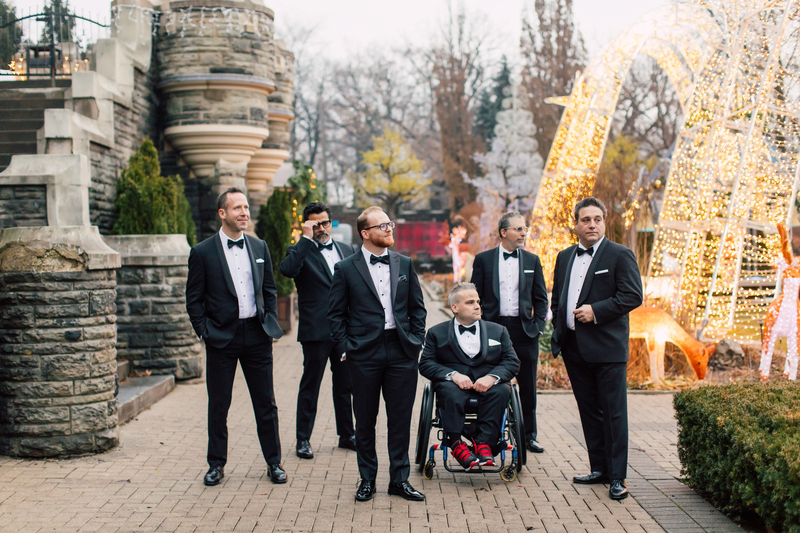 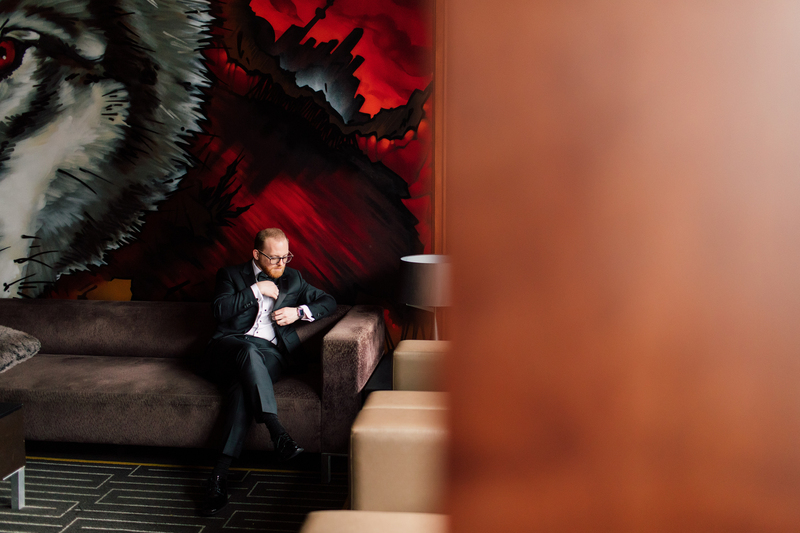 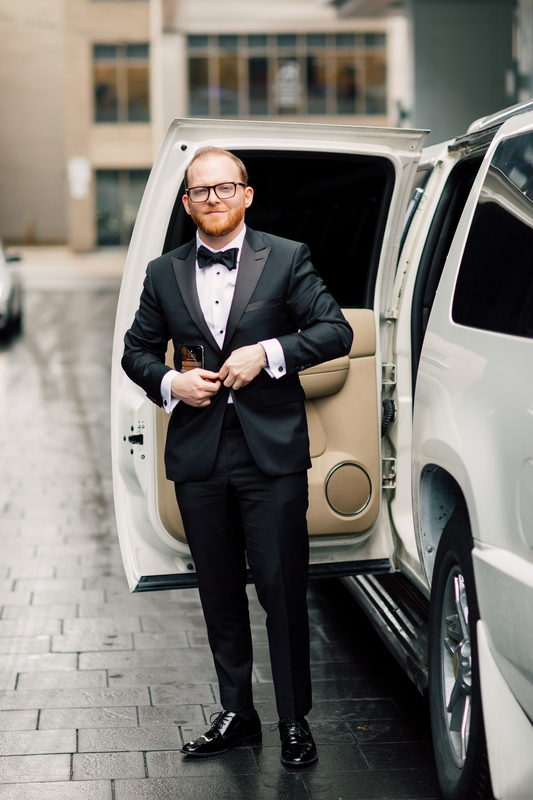 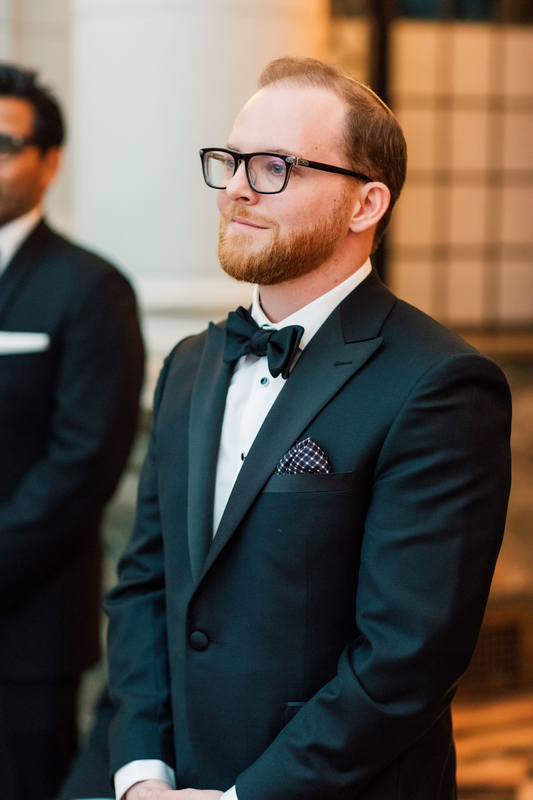 Waiting to meet Sarah, Cory looked sharp in his Jerome’s Menswear tuxedo. 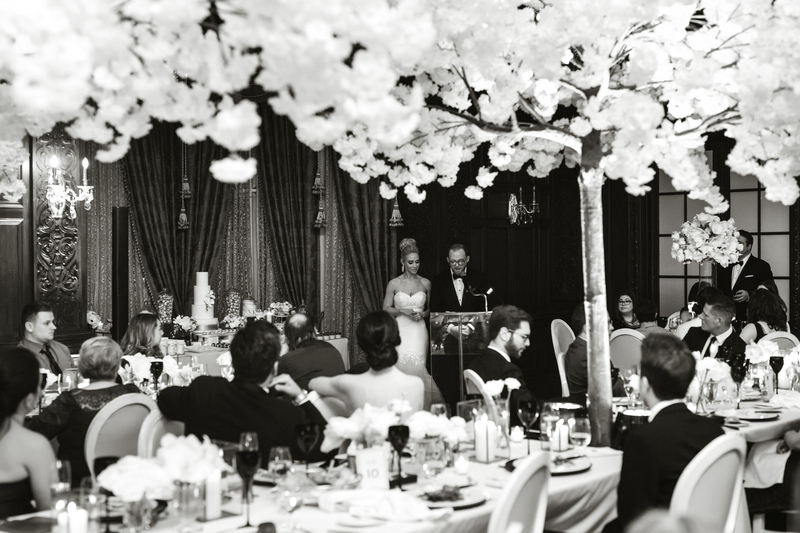 We love how much black and white was used on this day! 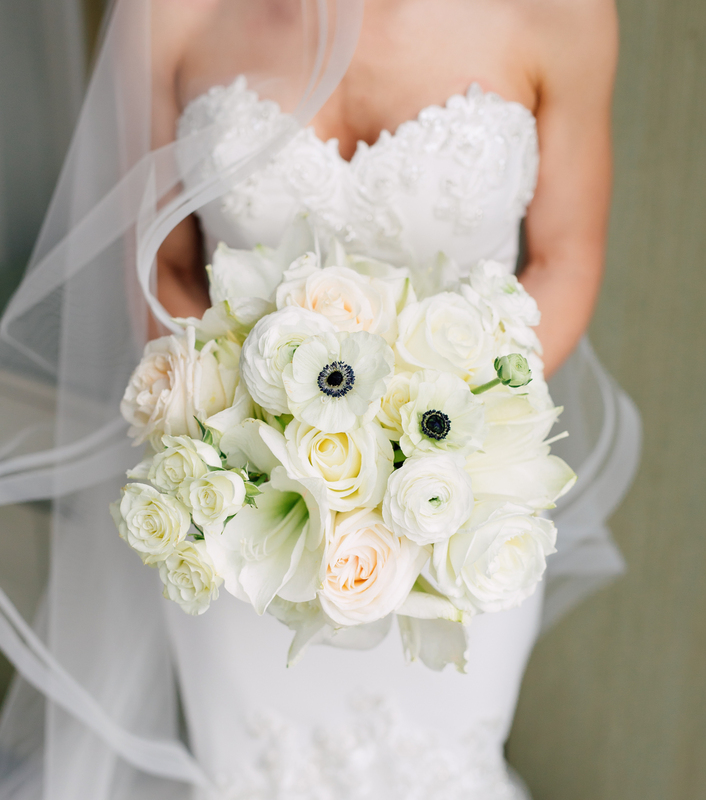 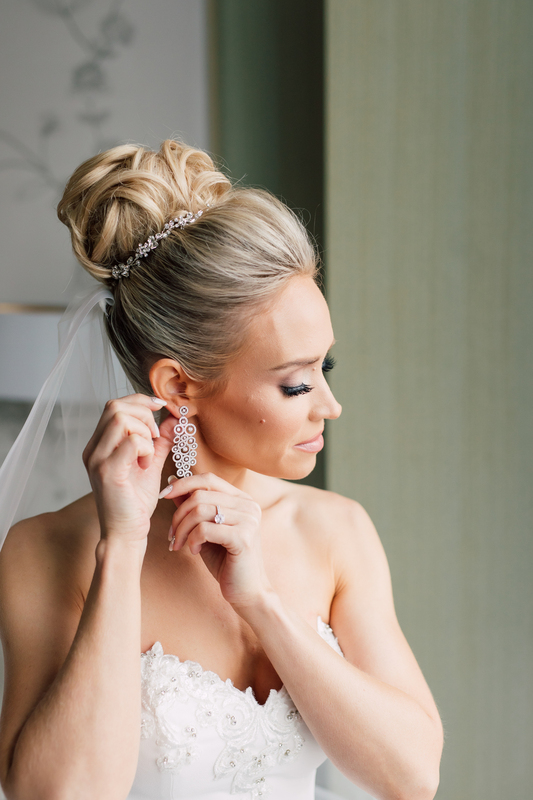 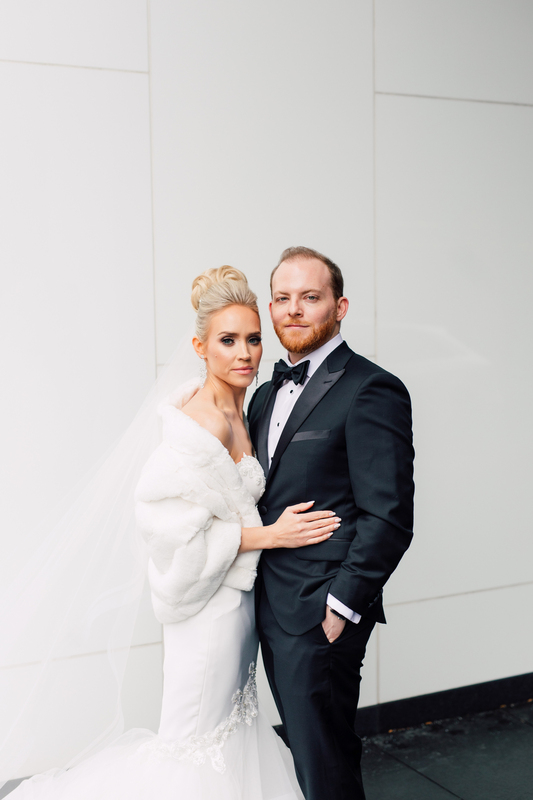 From Sarah’s white bouquet with a hint of darkness in the anemones, to her bridesmaid dresses and decor, they curated a beautiful monochromatic day. 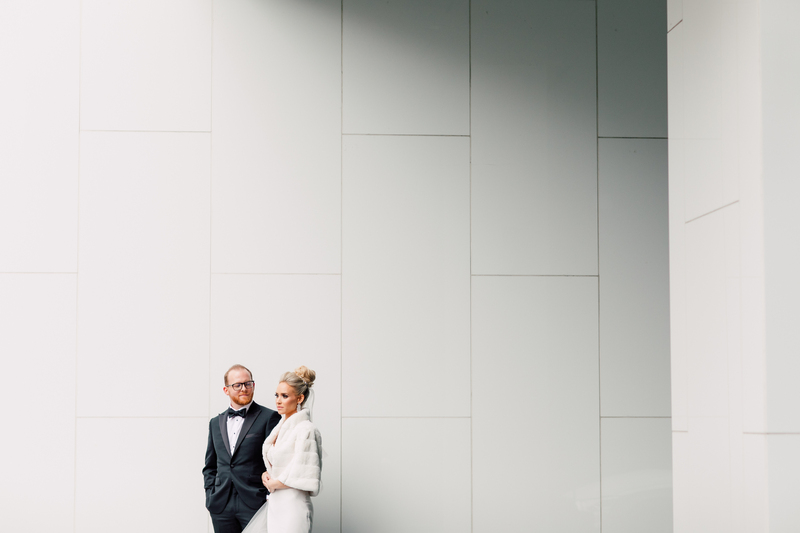 Their first look location even matched the colour scheme! 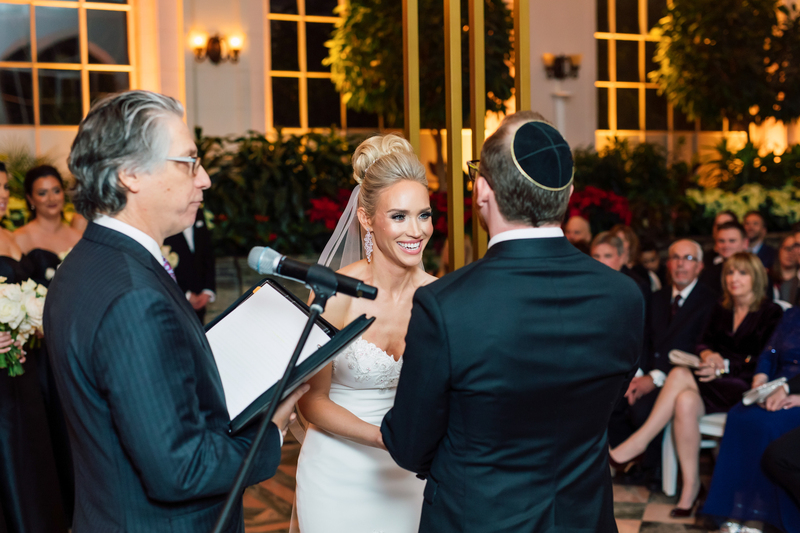 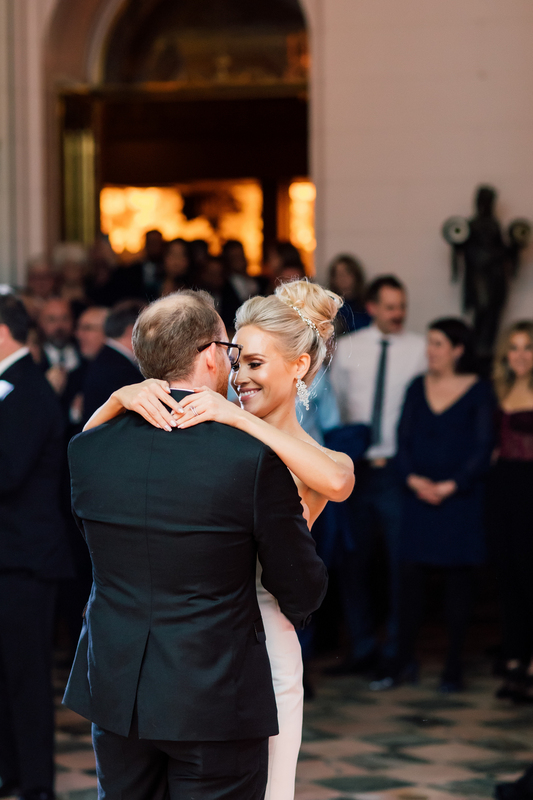 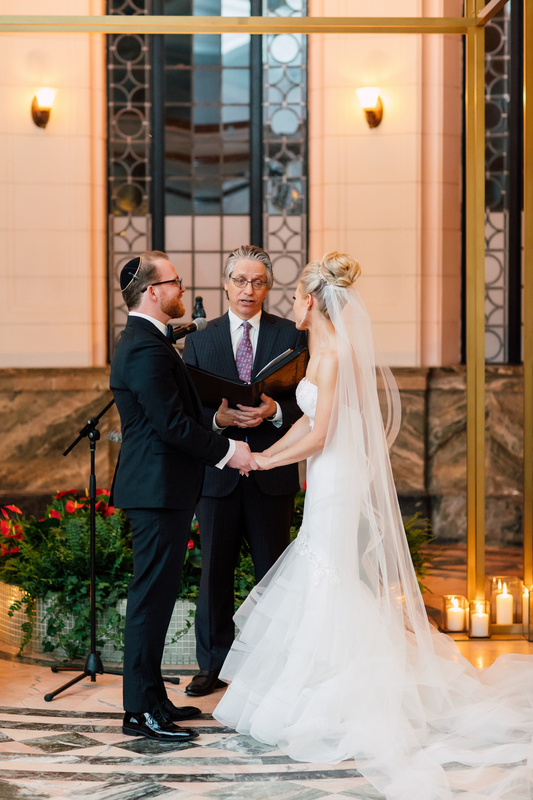 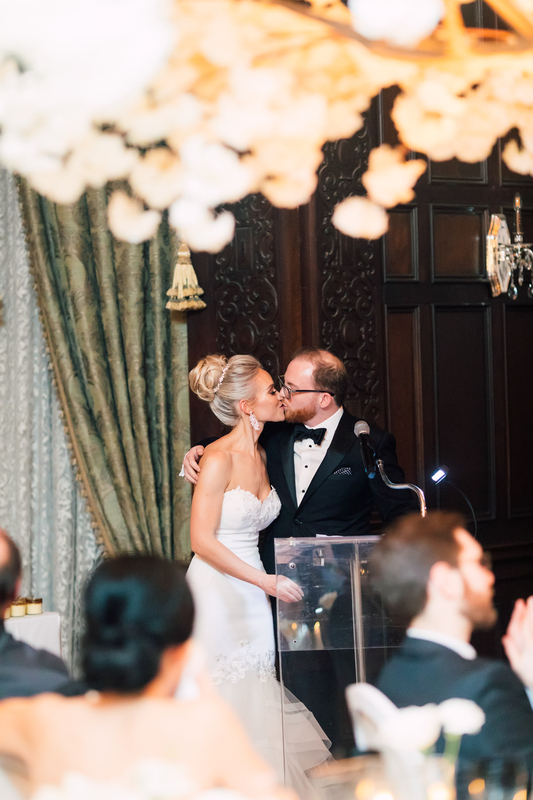 They held their ceremony in the library at Casa Loma. 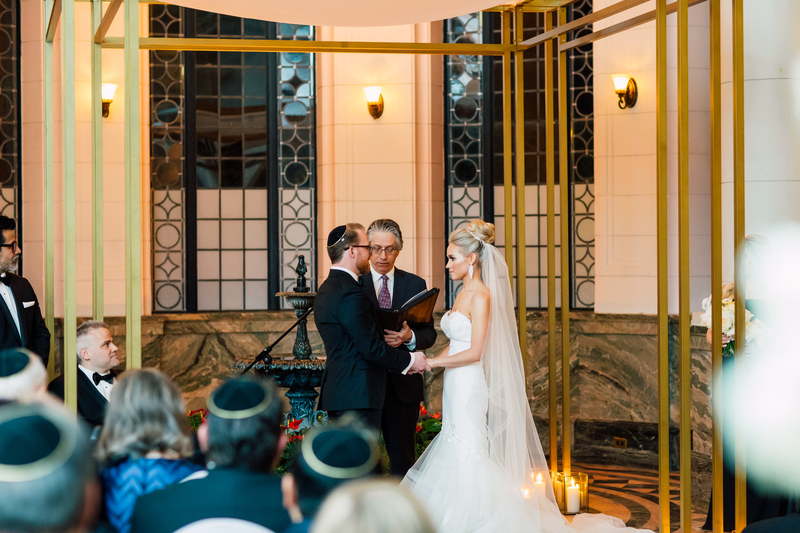 The simple brushed gold chuppah brought out the accents of gold in the space with only intentionally placed floral arrangements. 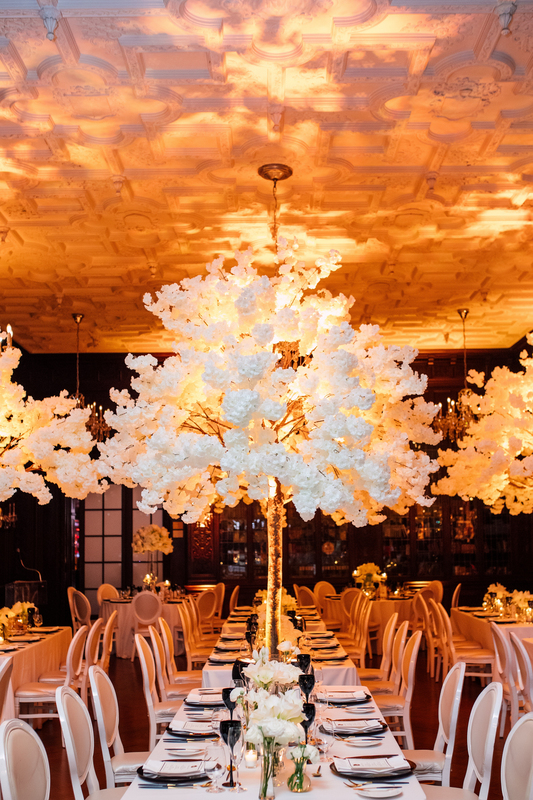 This room is so beautiful they wanted it to speak for itself! 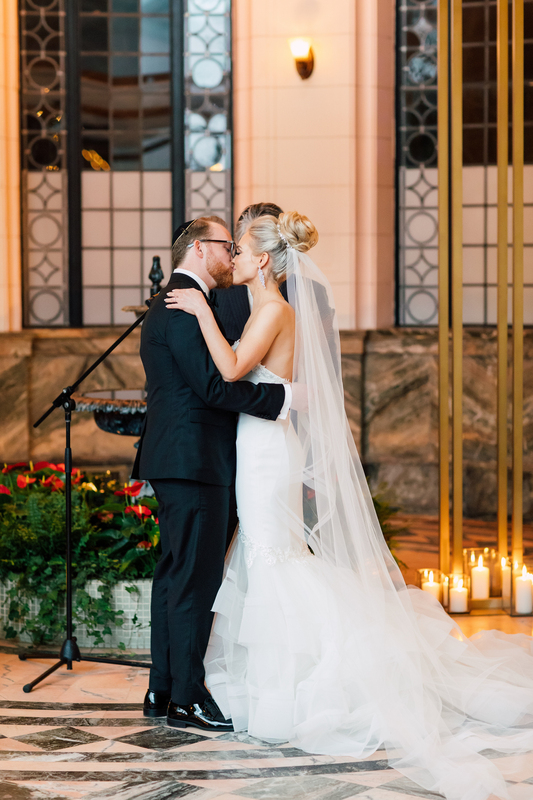 Adding to the elegance of the day, their music was provided by Wellington Music. 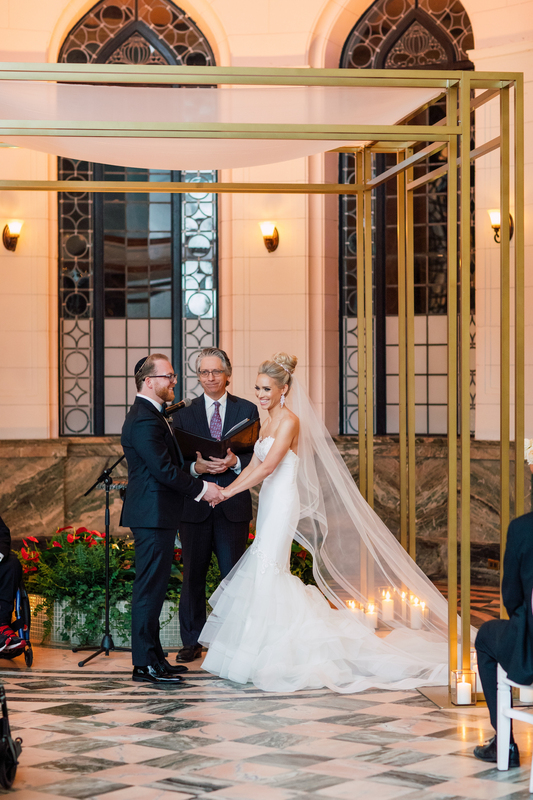 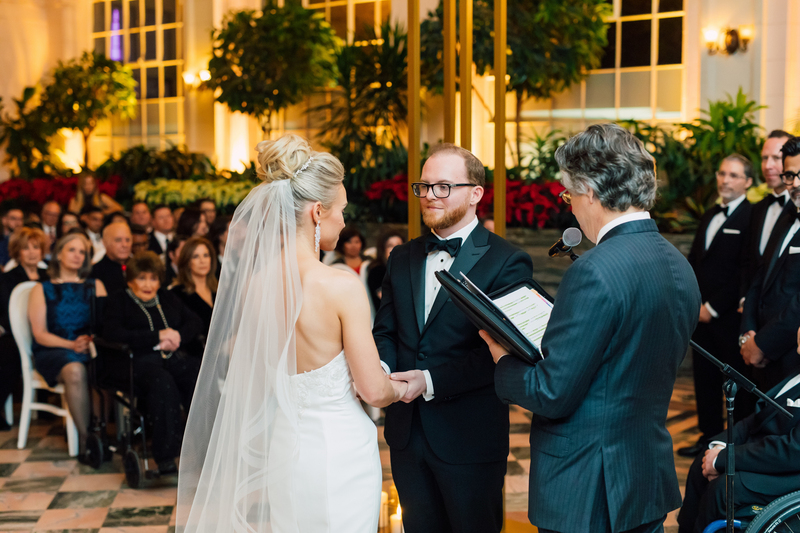 Having a string quartet during your ceremony adds such class and intimacy, and they were the perfect accompaniment in this grand room. 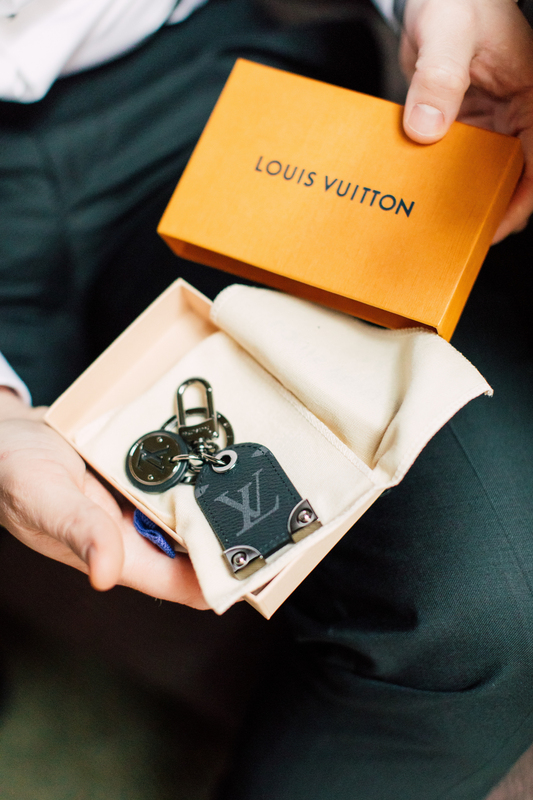 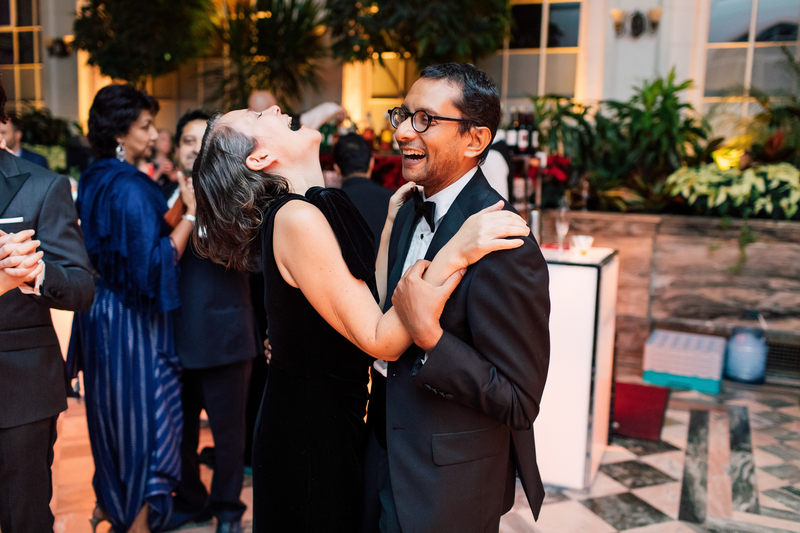 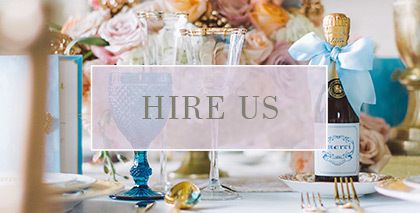 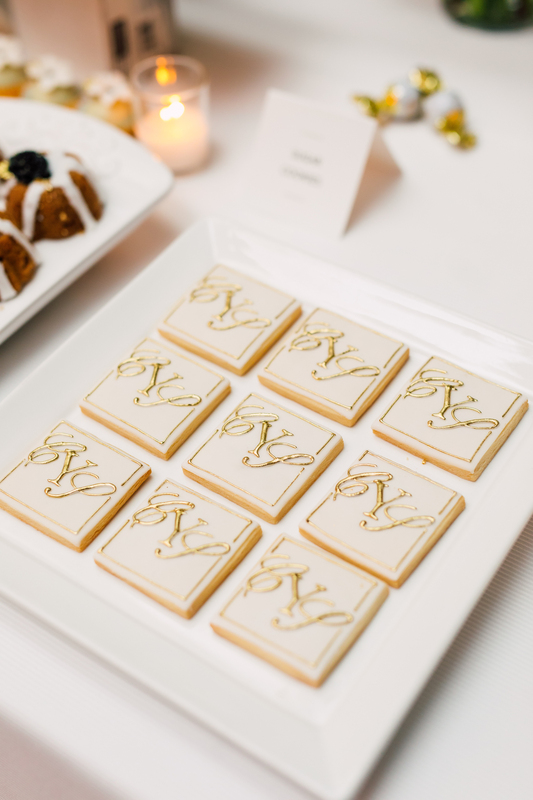 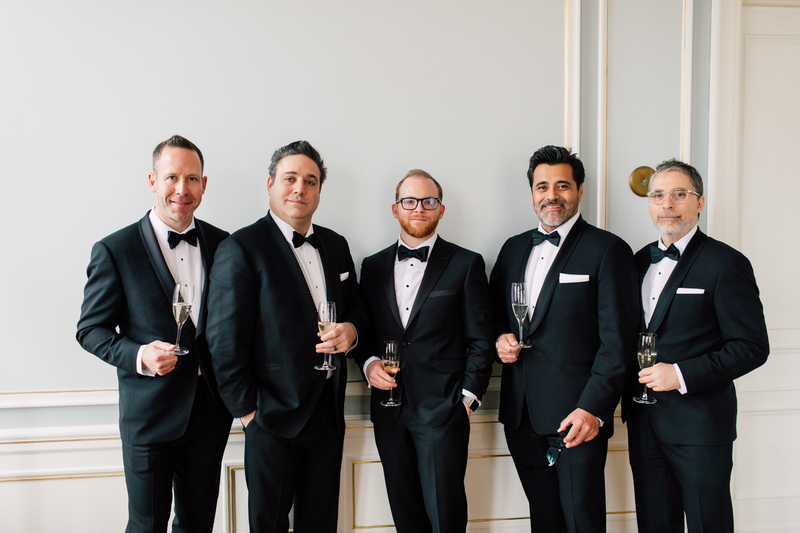 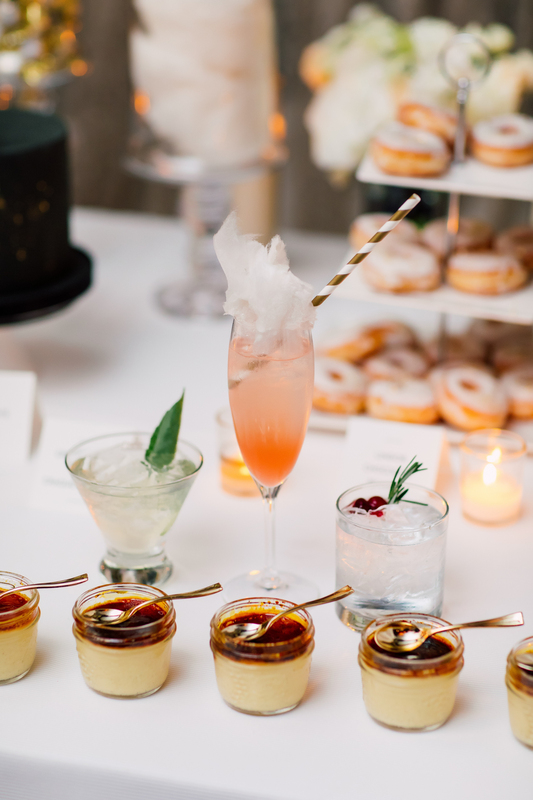 Put together by Lexington and Co, their reception was chic and elegant. 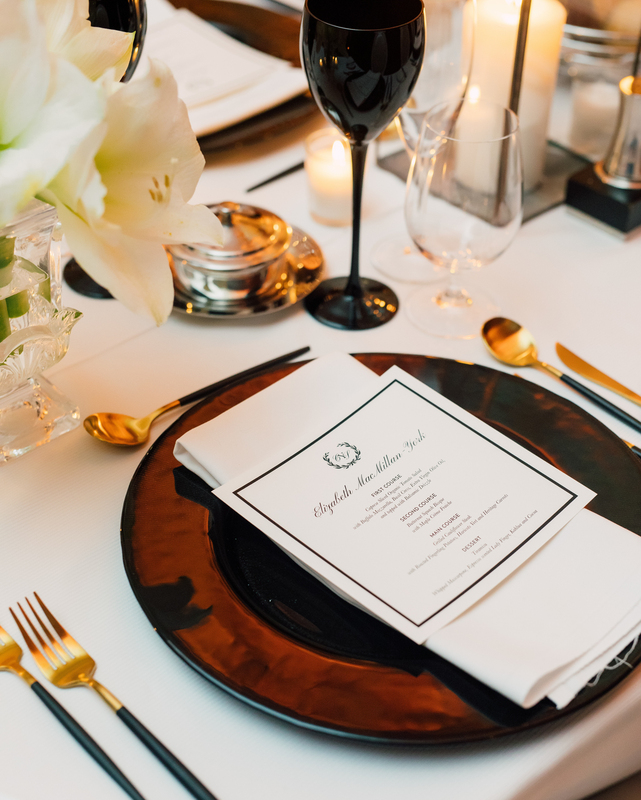 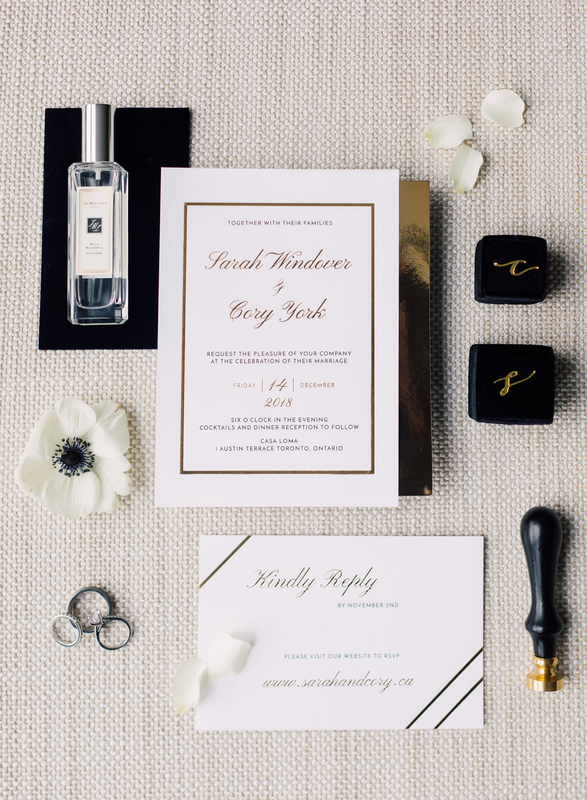 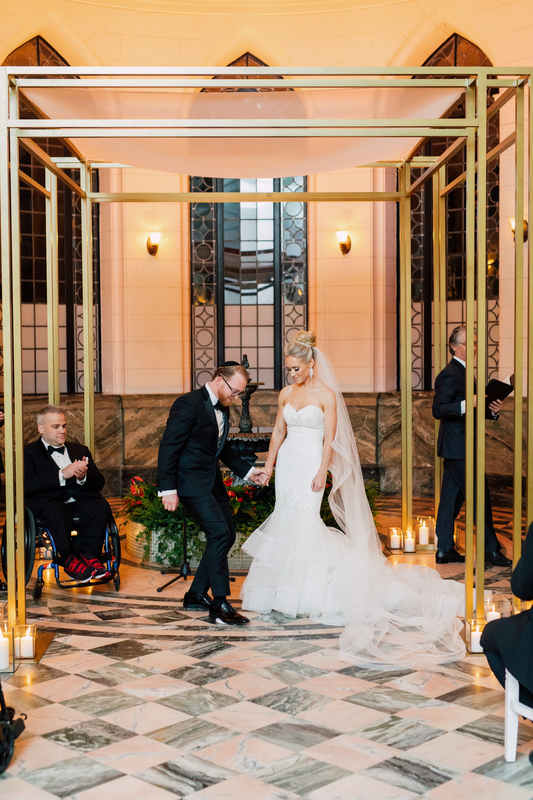 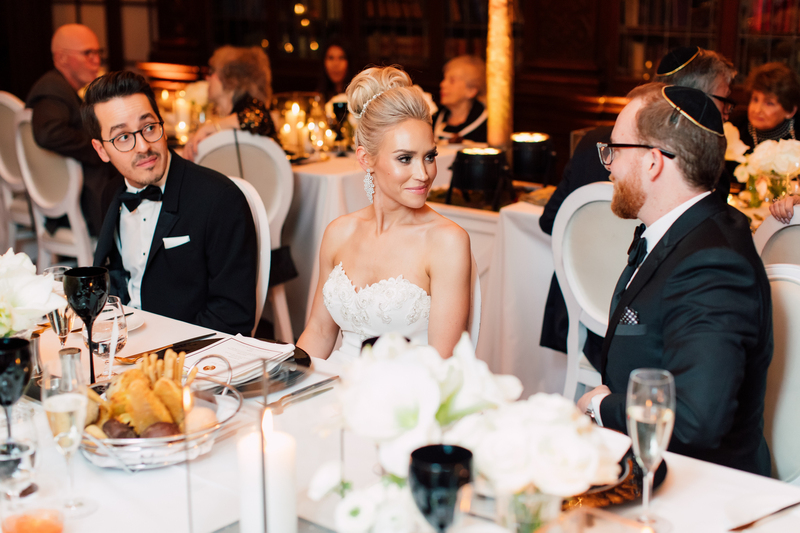 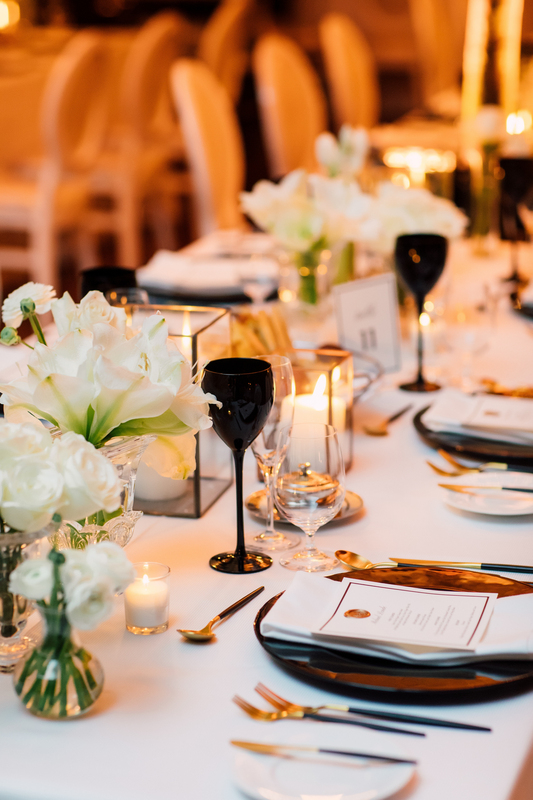 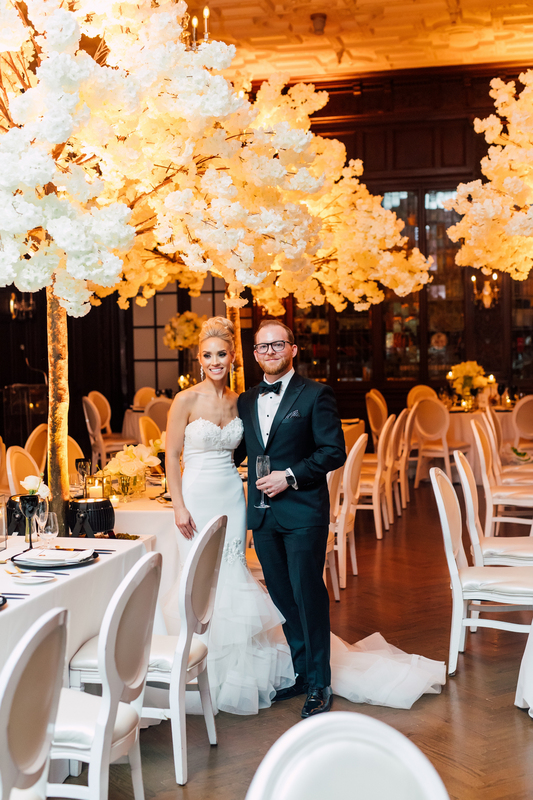 The accents of black, white and gold carried through to their décor and was so impactful! 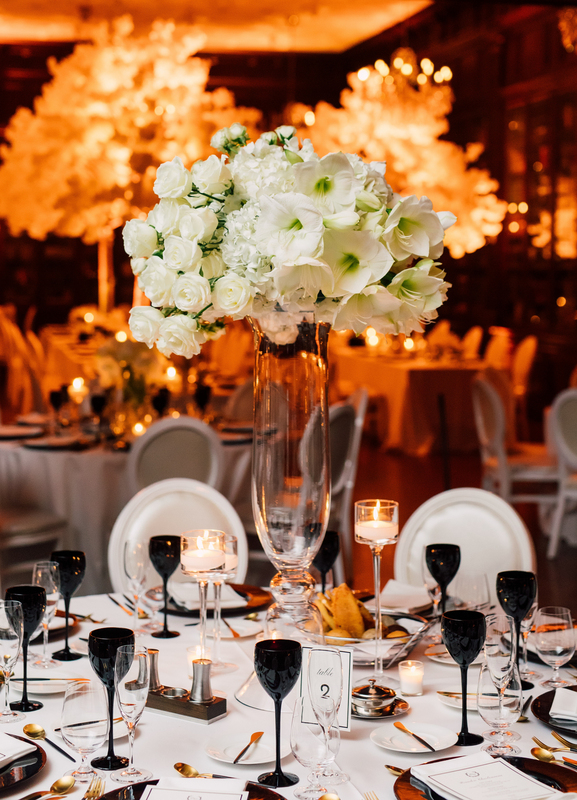 With their décor and rentals provided by Chairman Mills, they really carried through the blacks with no hesitation! 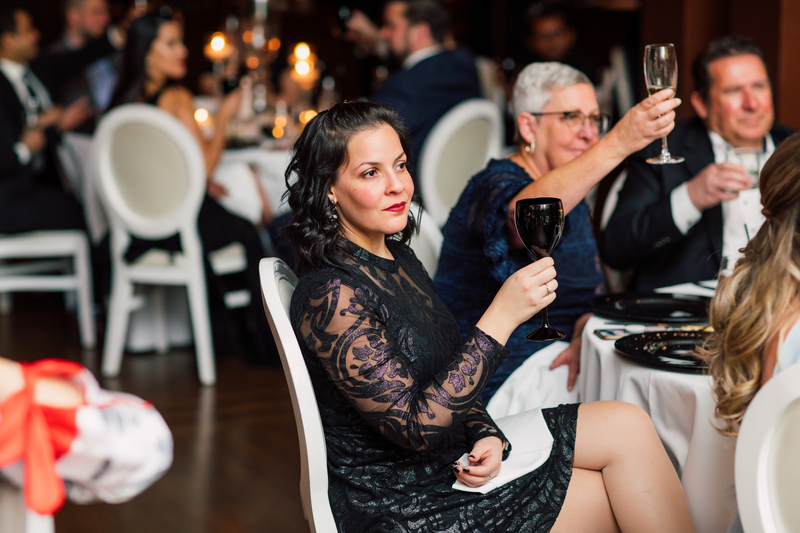 How often do you get to drink your wine from a black glass? 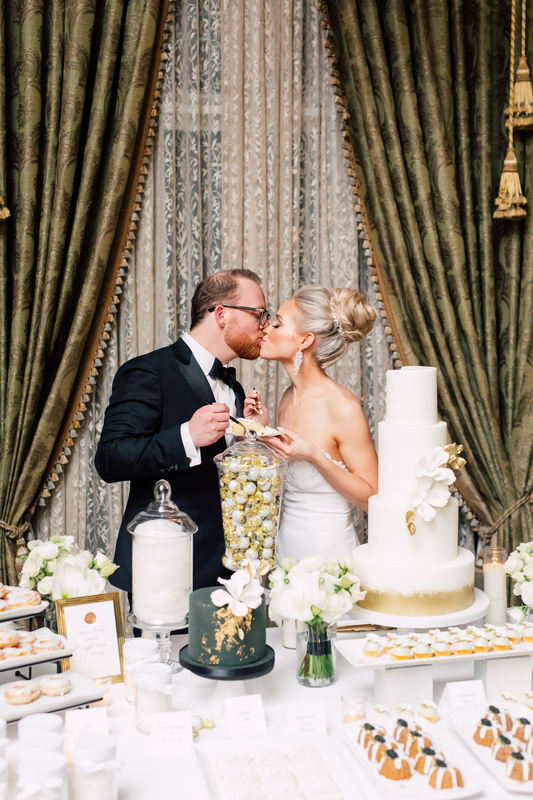 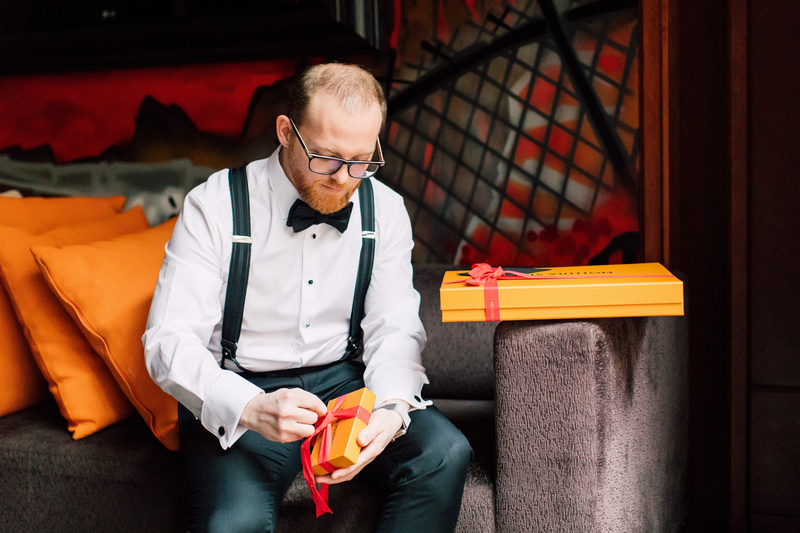 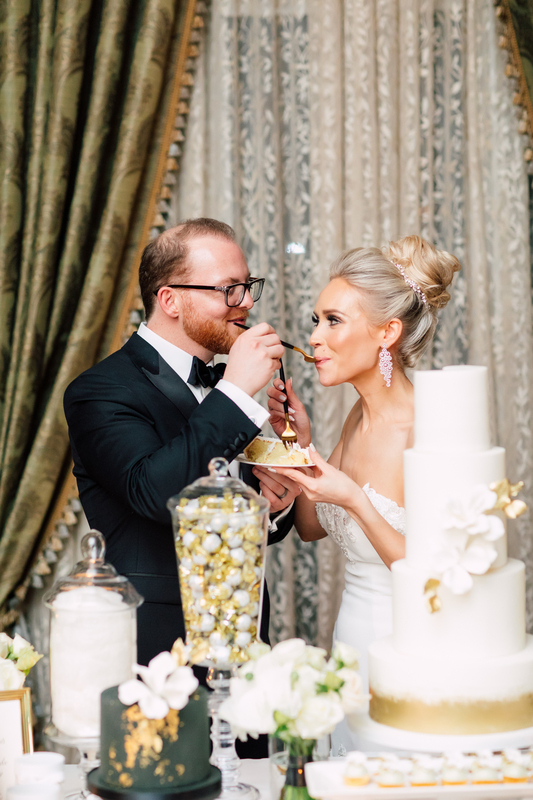 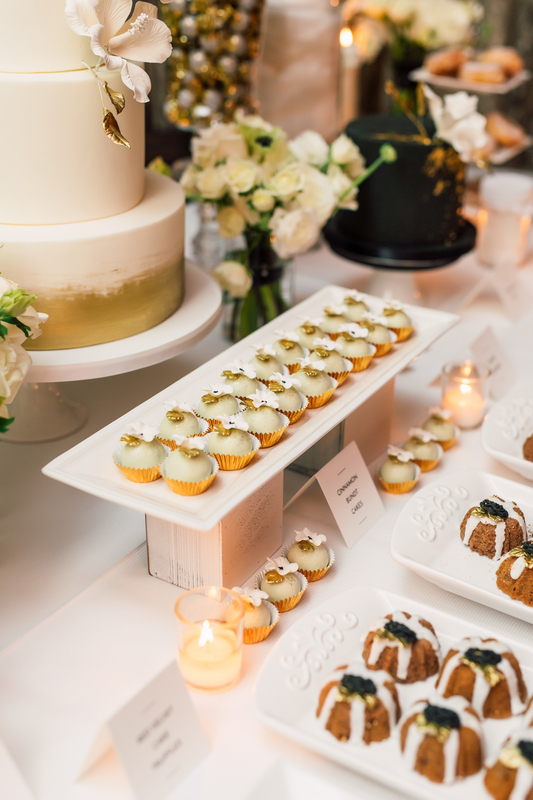 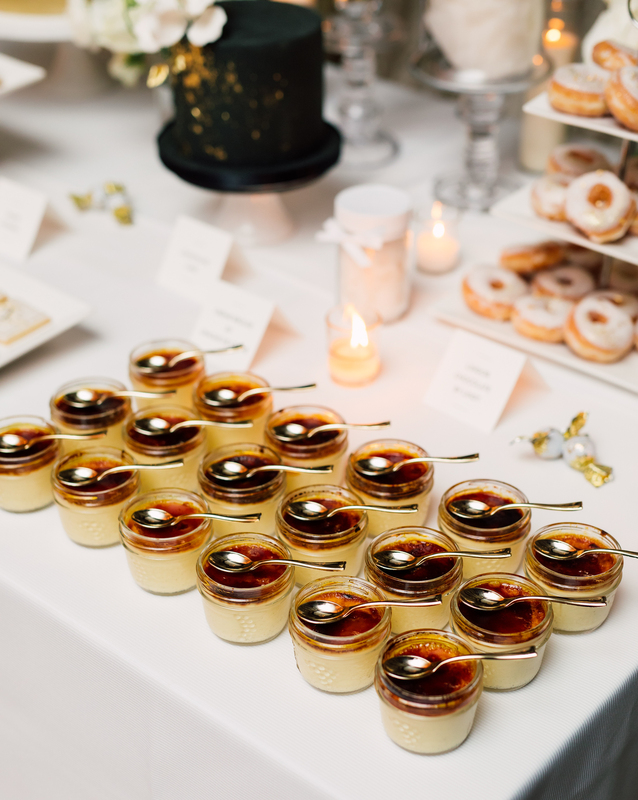 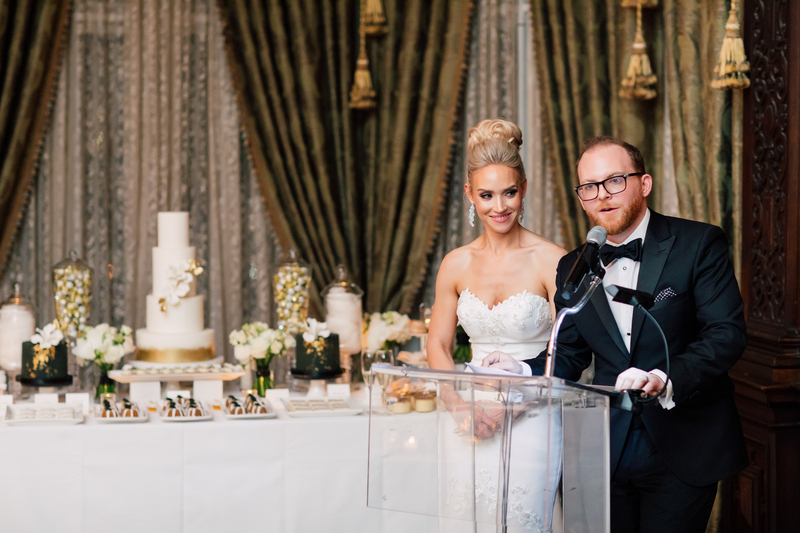 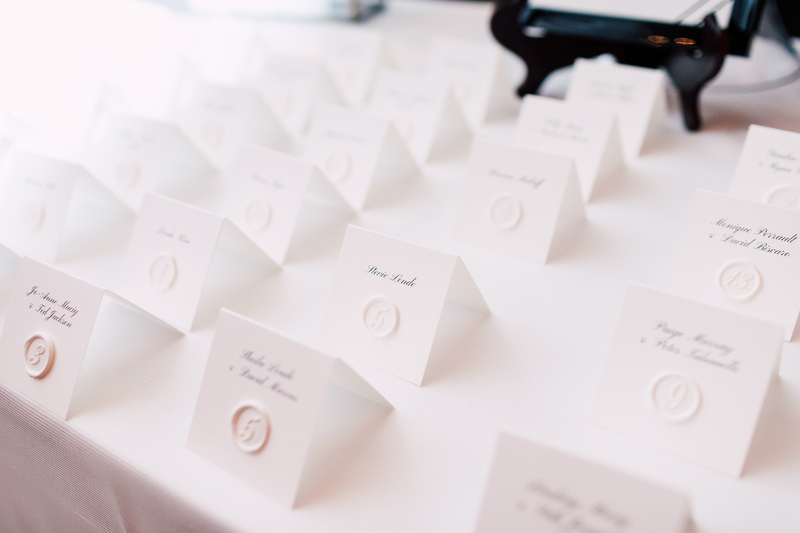 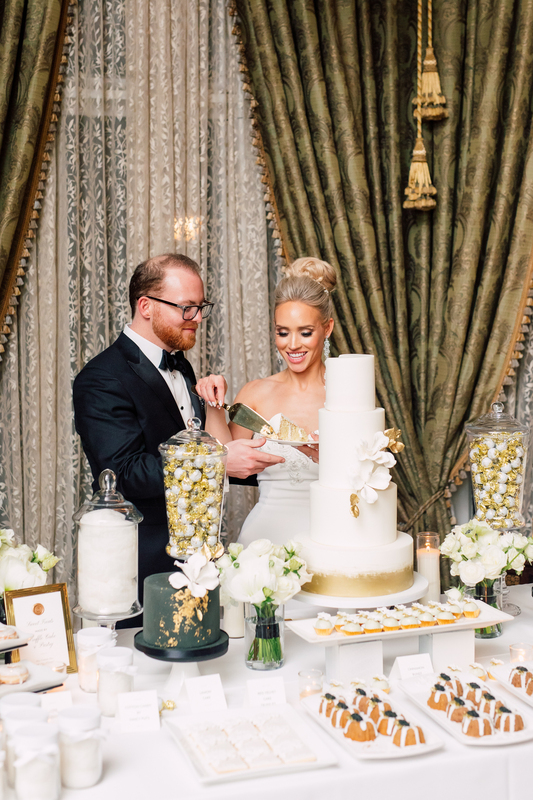 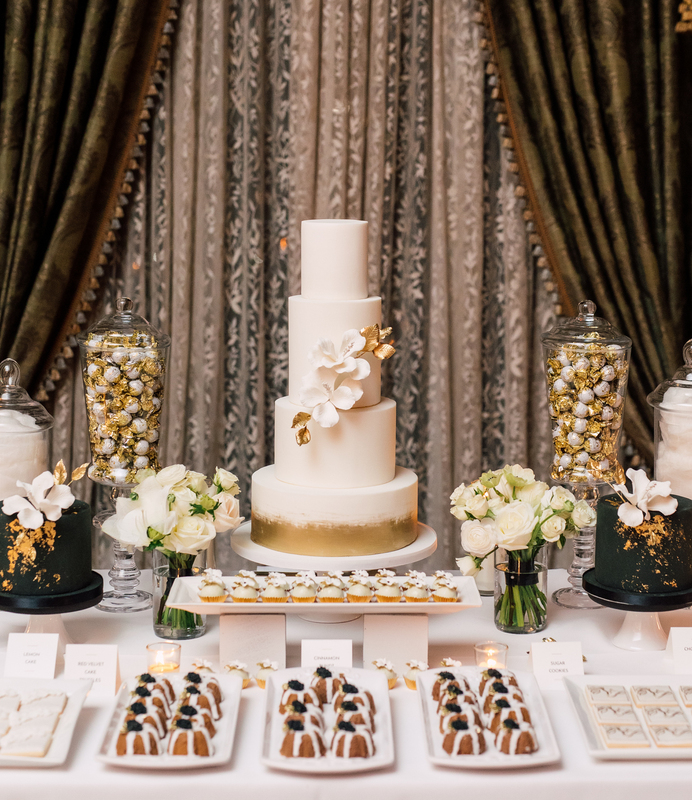 Every detail matched the colour scheme, from their menus with gold wax seals, to their selection of cakes, cookies and truffles in white, black and gold. 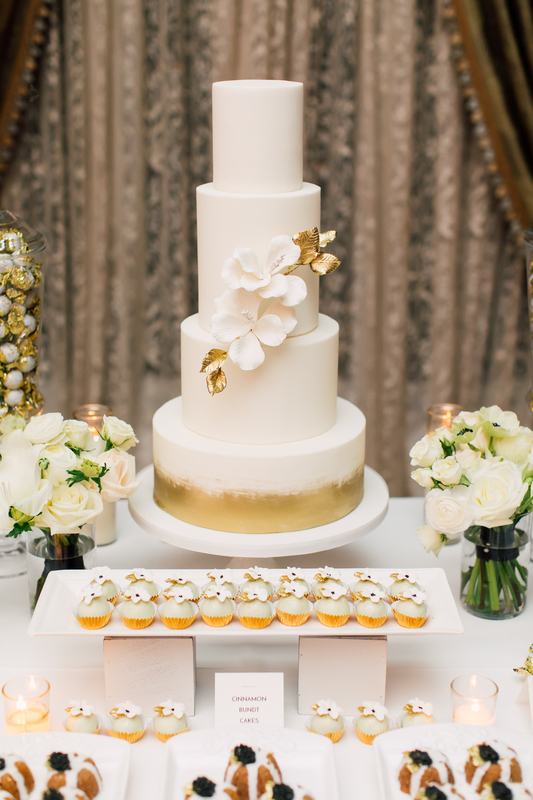 The sugar flowers on their cakes looked like they were plucked from one of the bouquets! 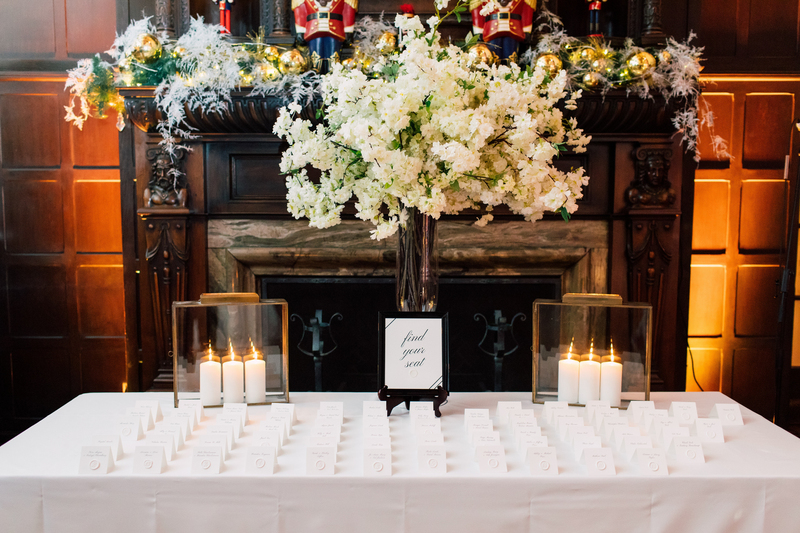 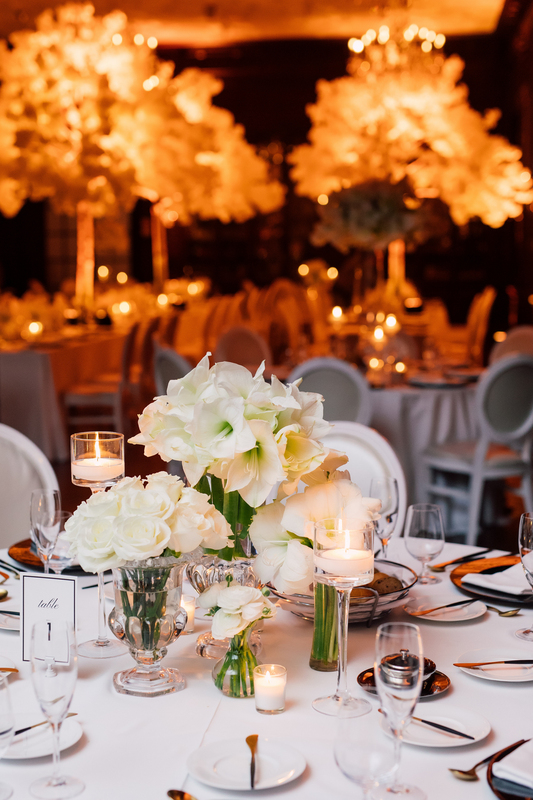 Accented with a variety of white florals, beautifully put together by Rachel A. Clingen, the grand room is lightened up, bringing warmth through the candlelight shining along all the tables. 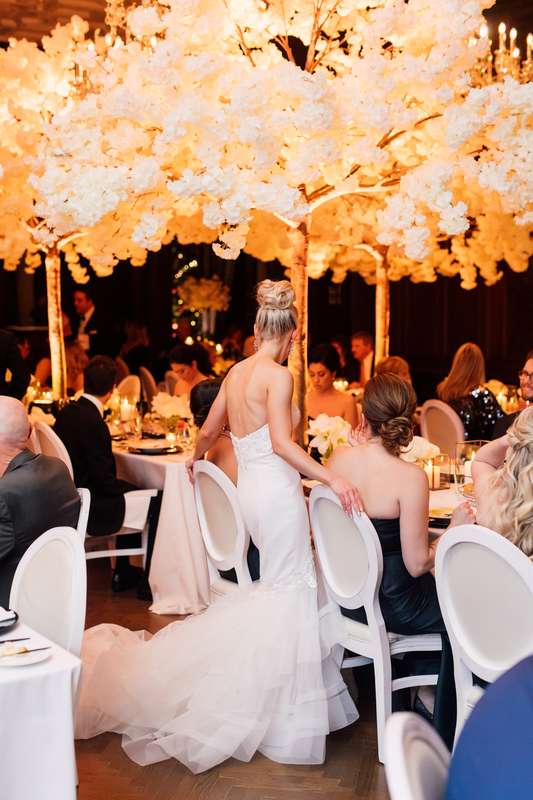 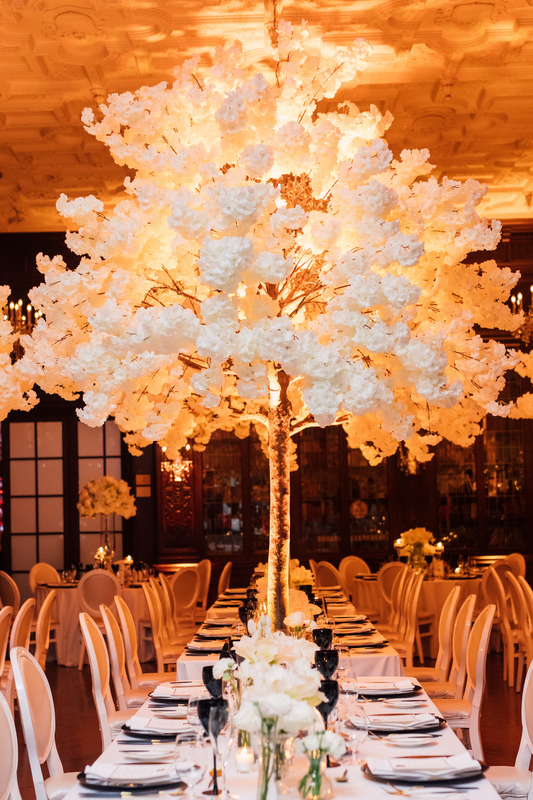 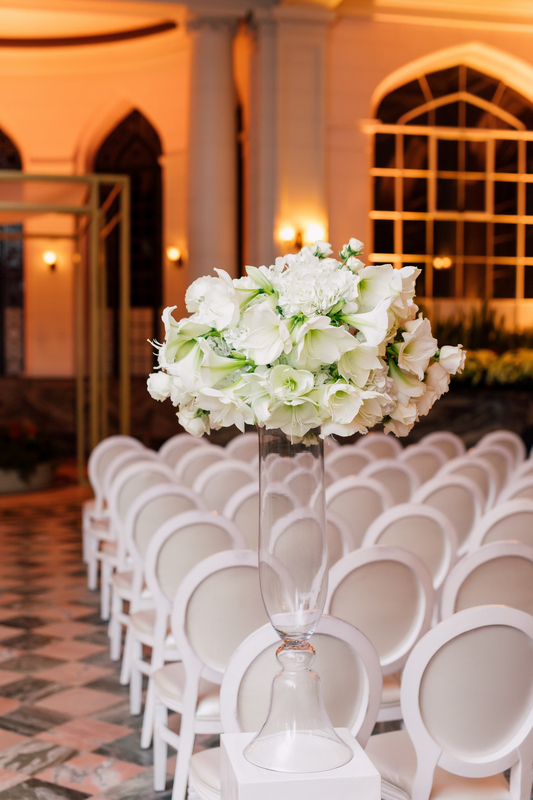 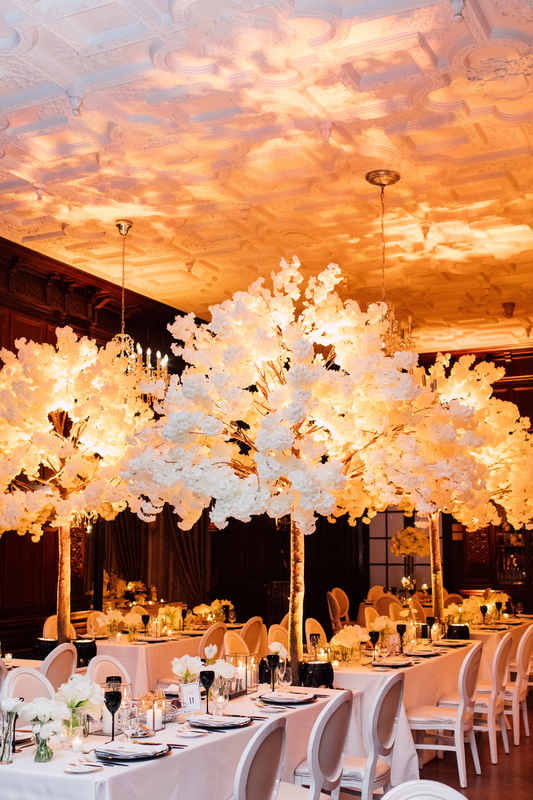 We can’t get over the tall white floral trees placed throughout the room! 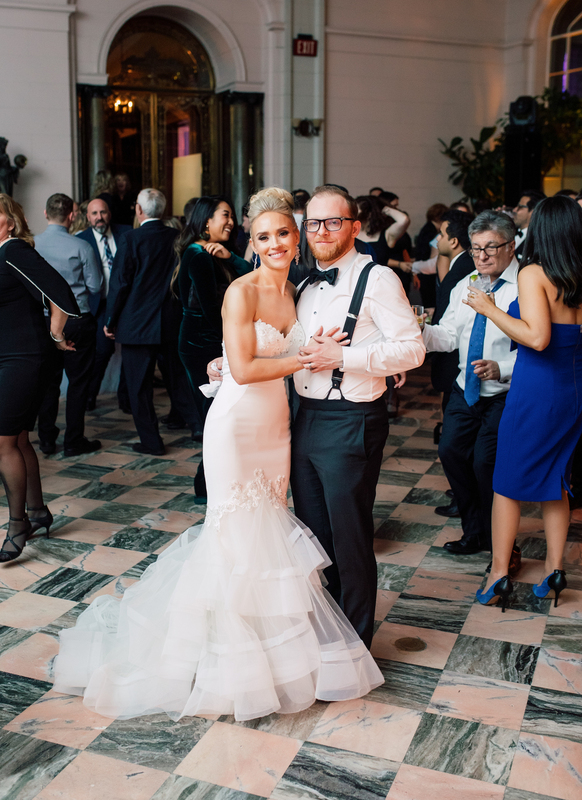 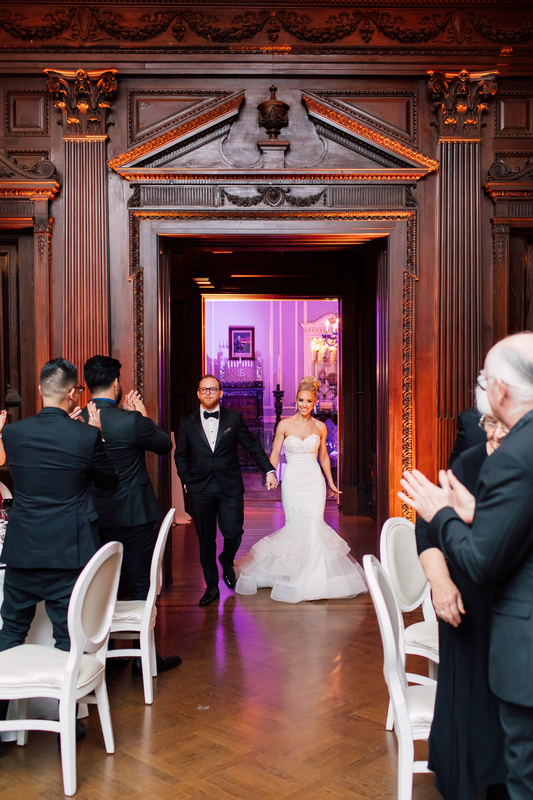 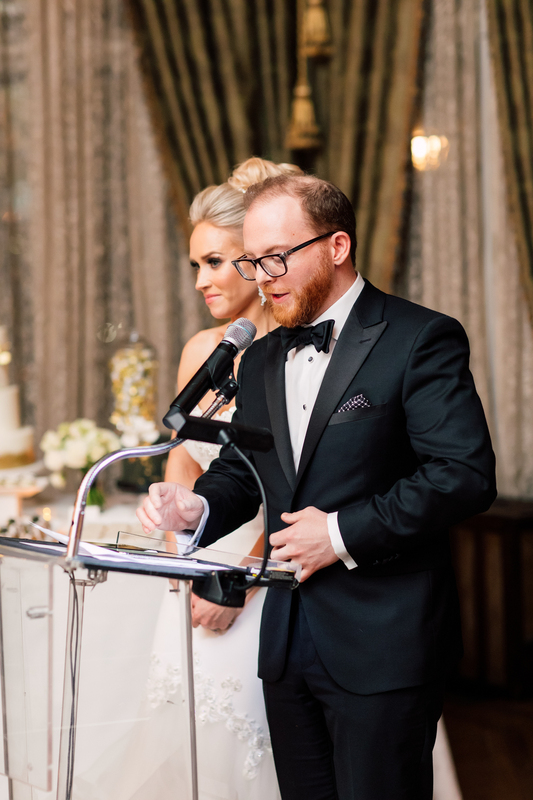 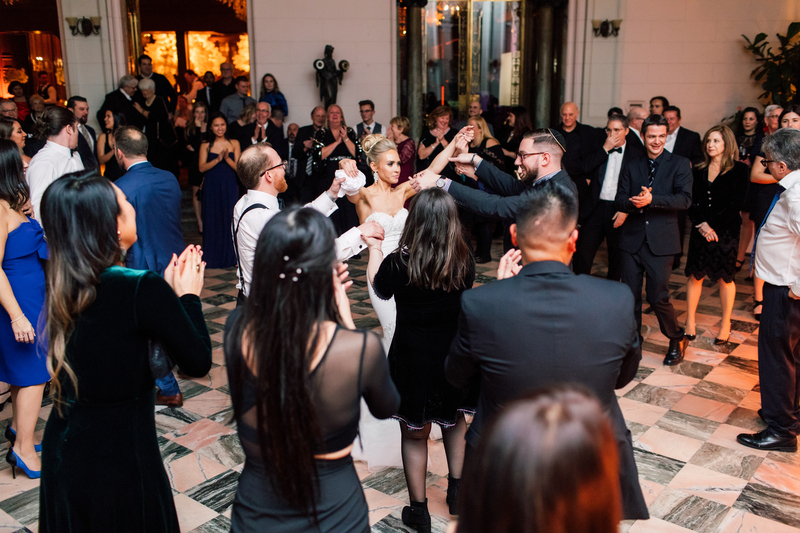 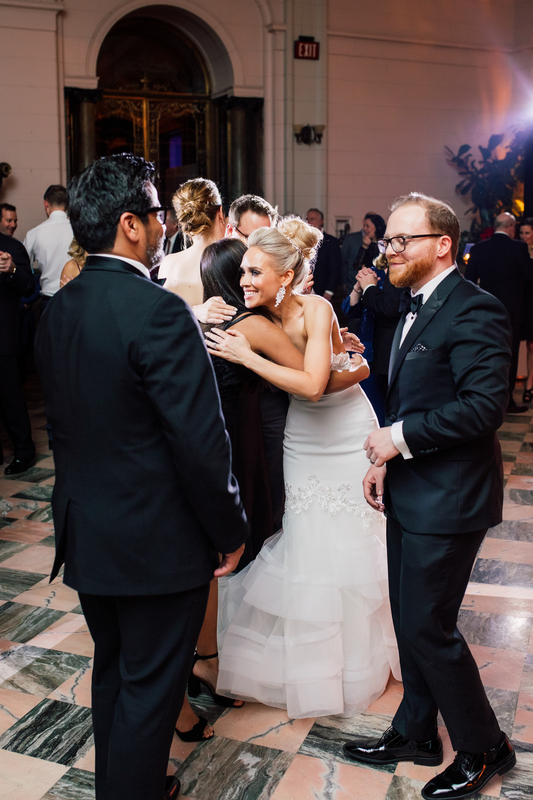 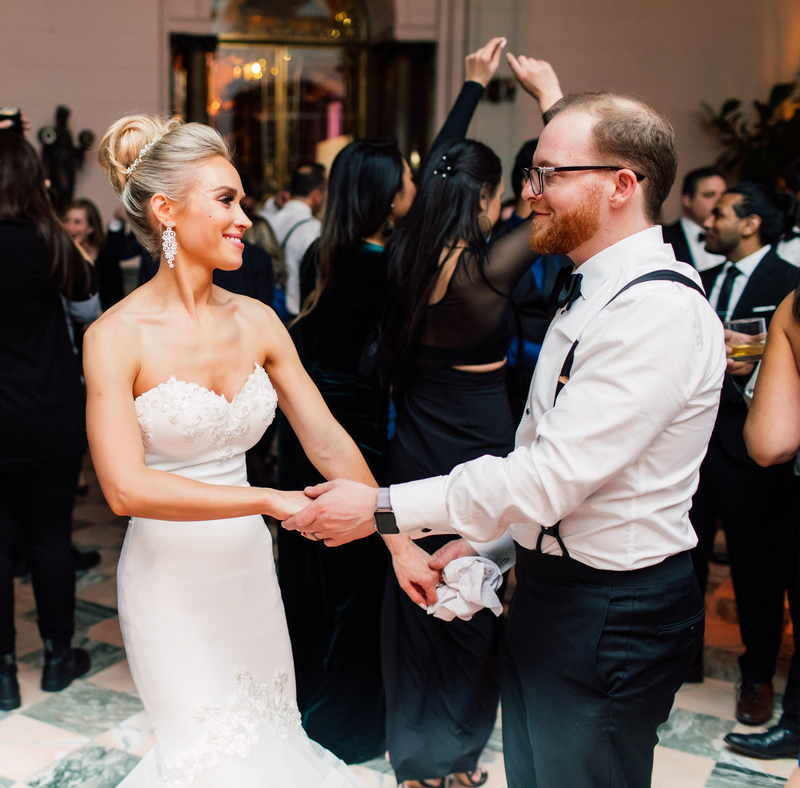 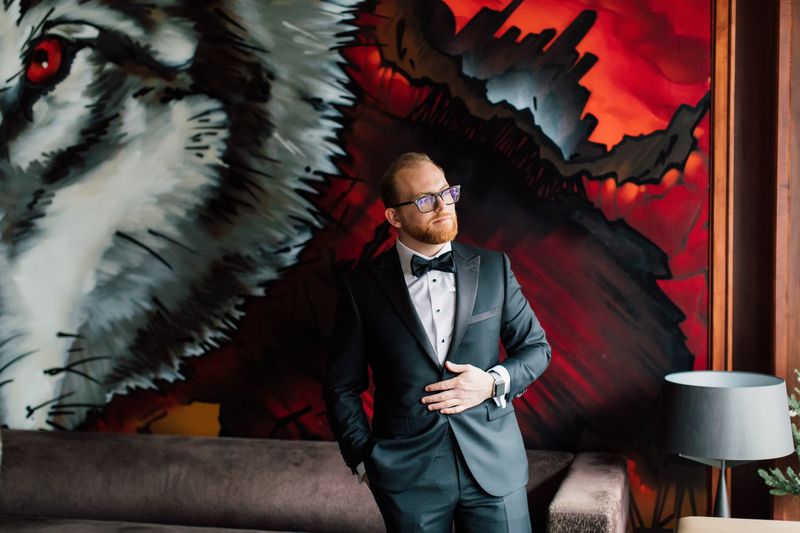 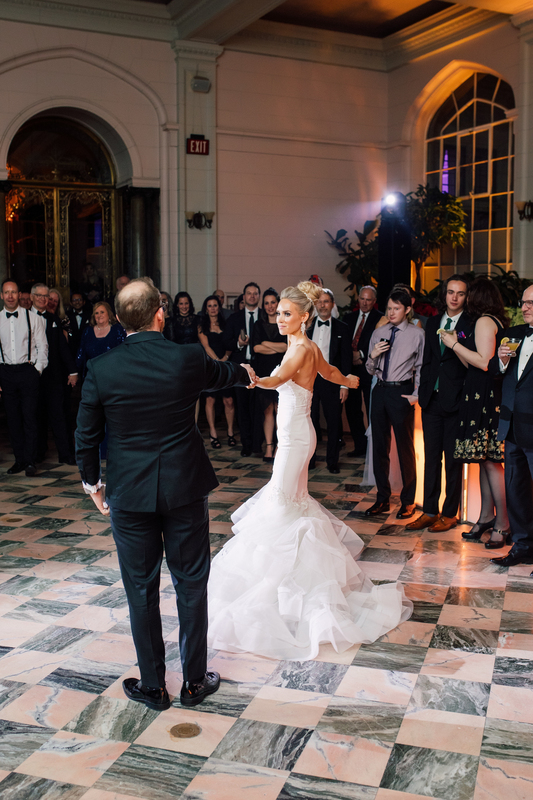 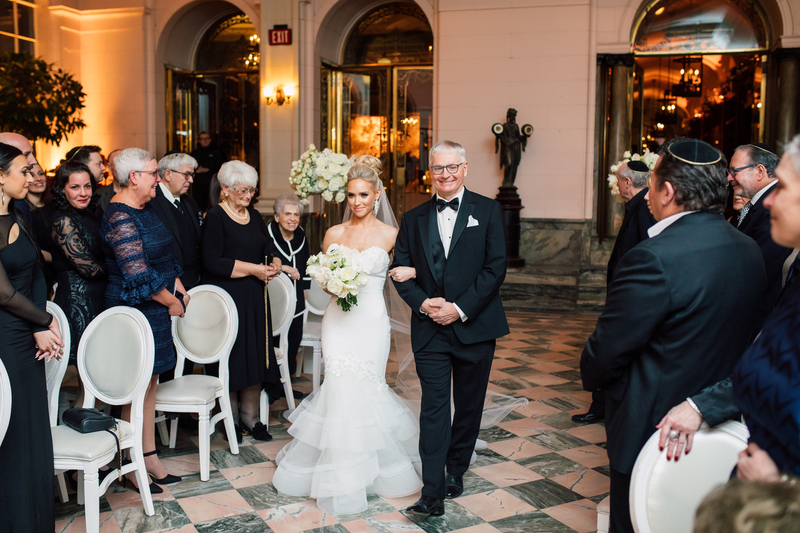 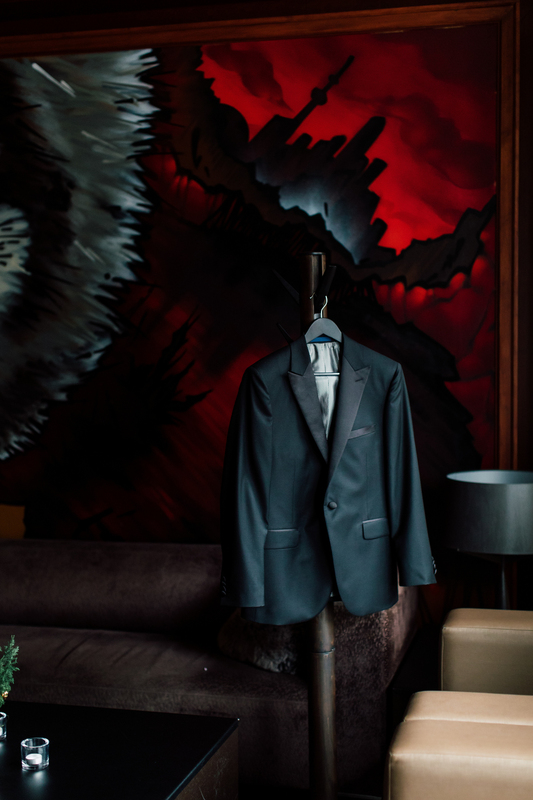 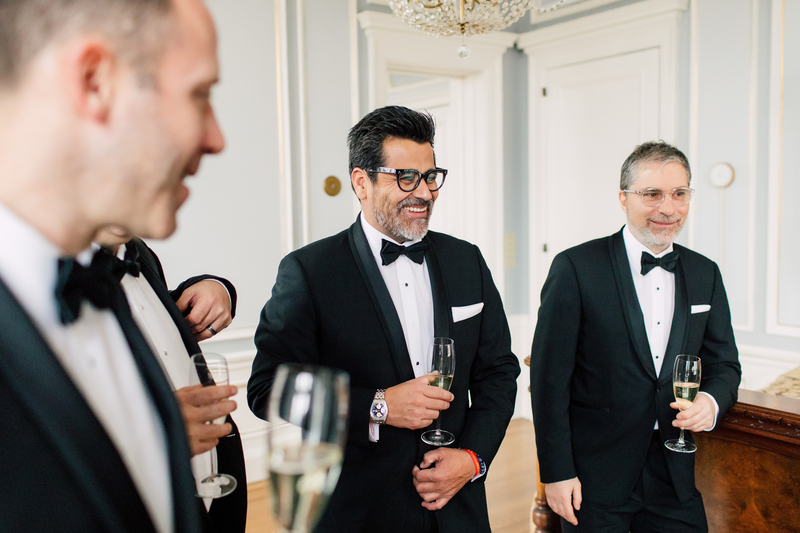 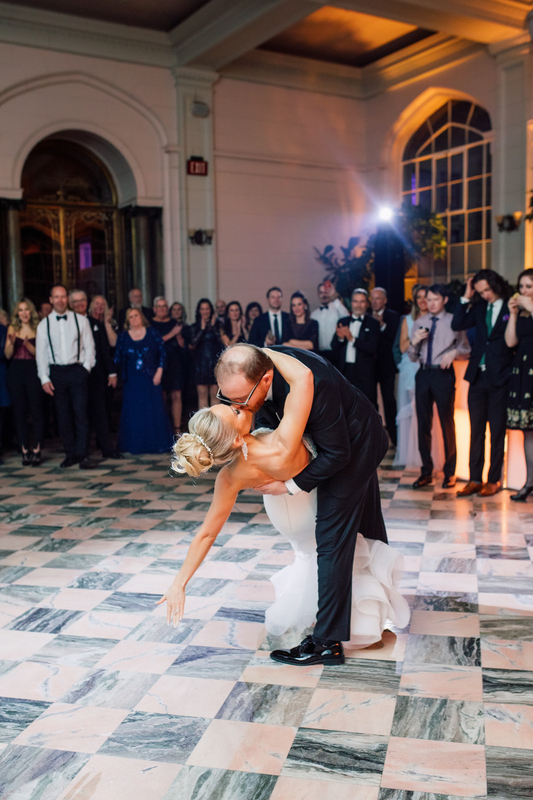 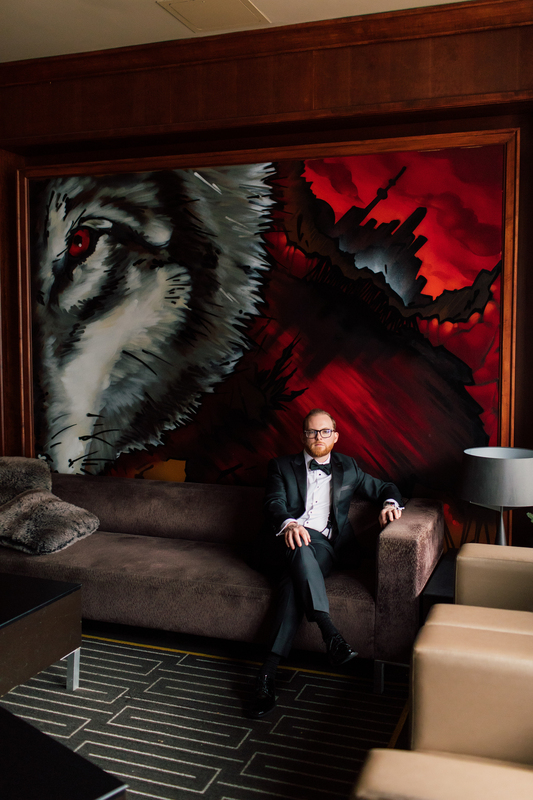 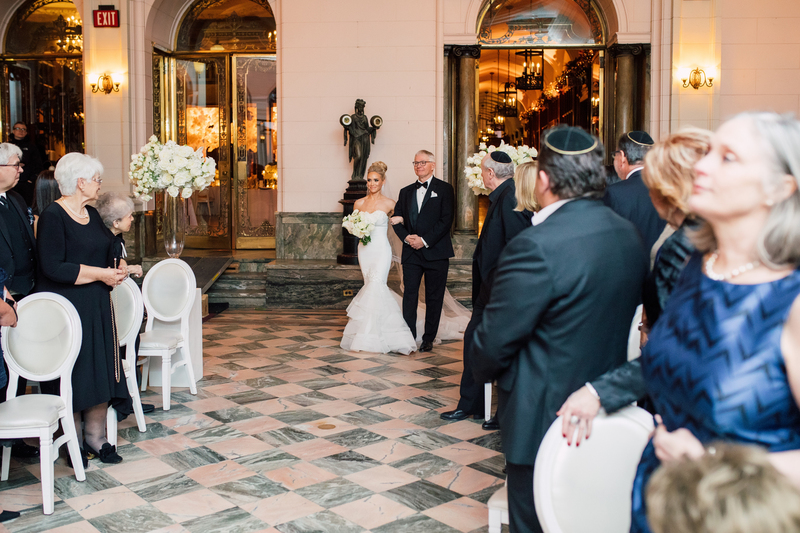 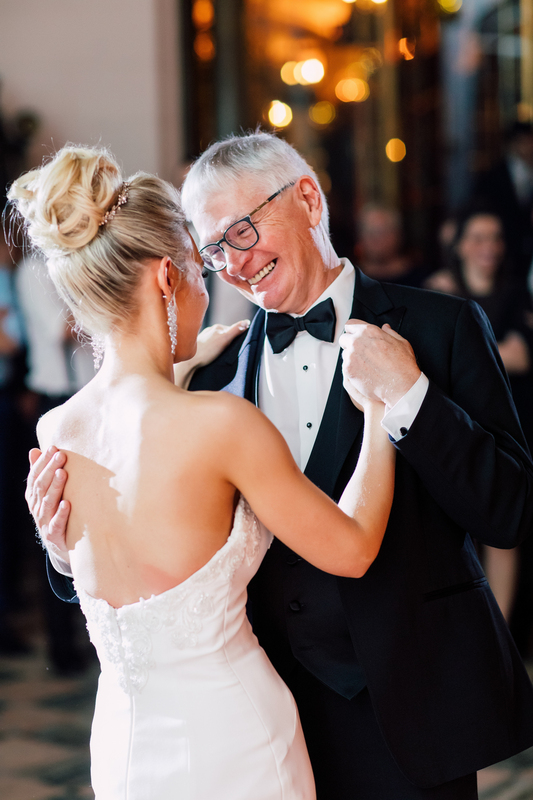 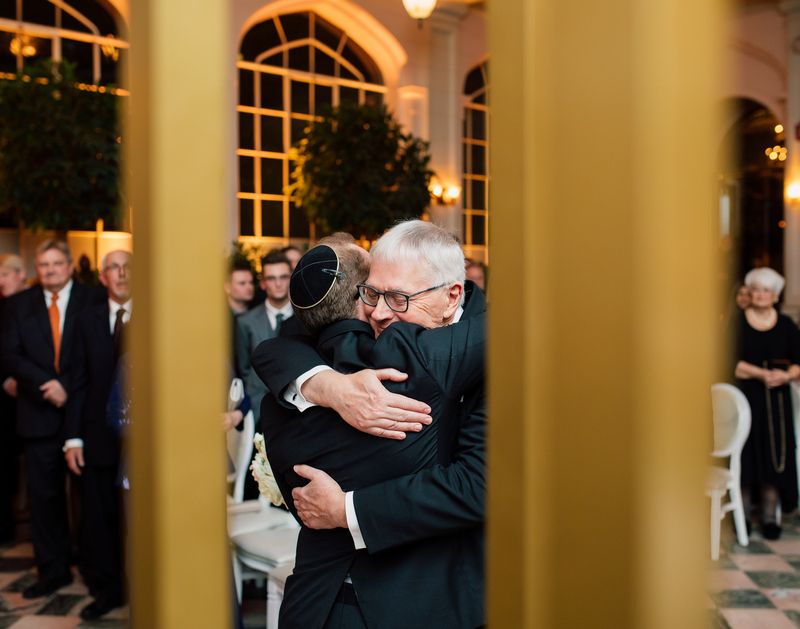 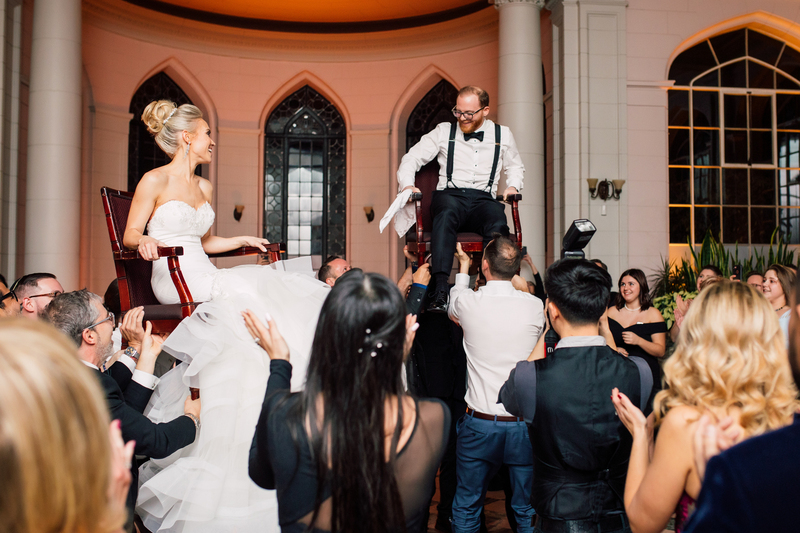 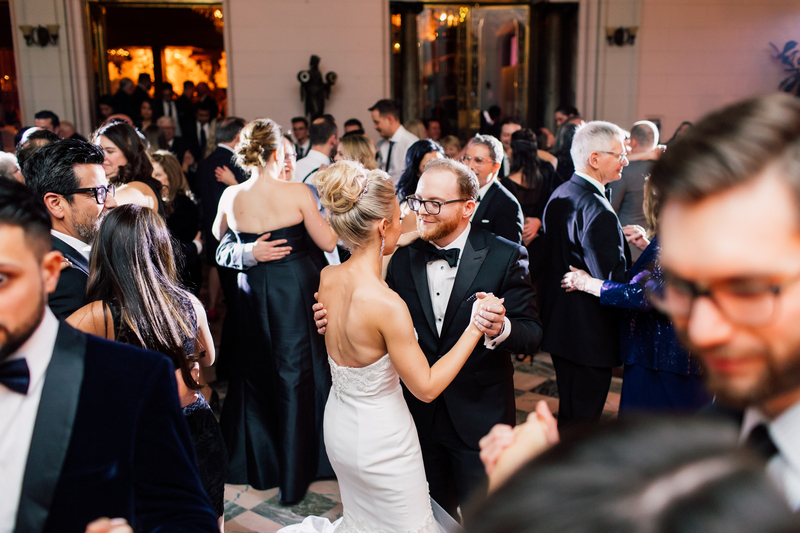 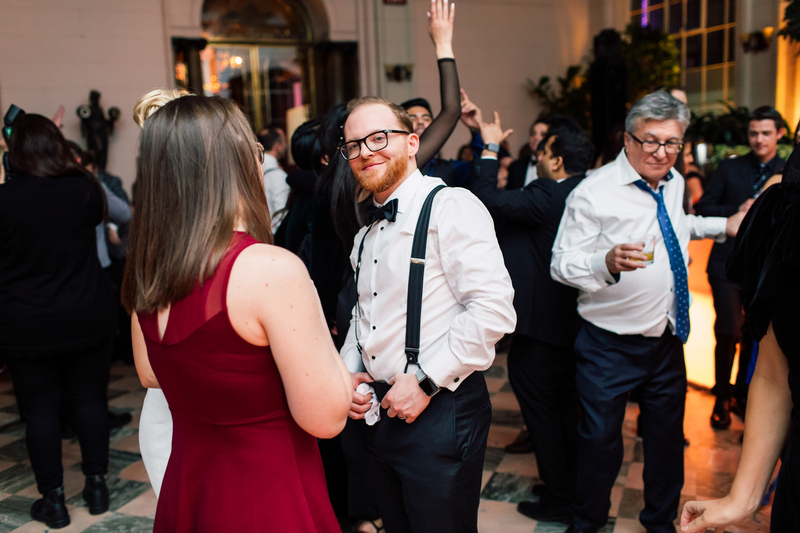 This monochromatic wedding had every detail covered and really showed how Casa Loma can be transformed to be exactly as you dream it. 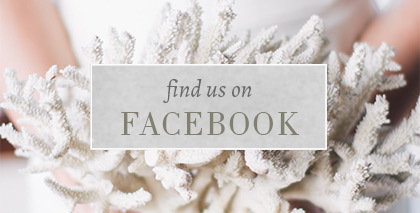 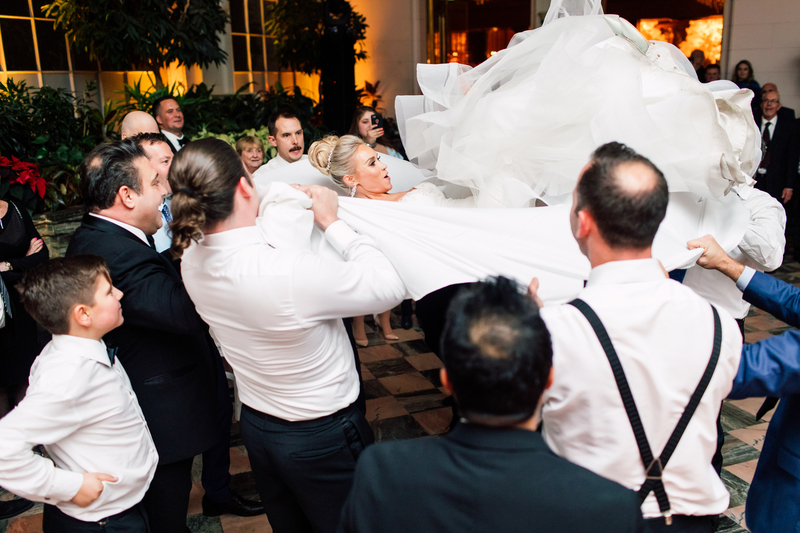 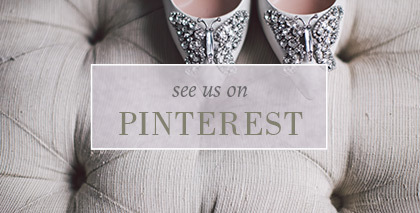 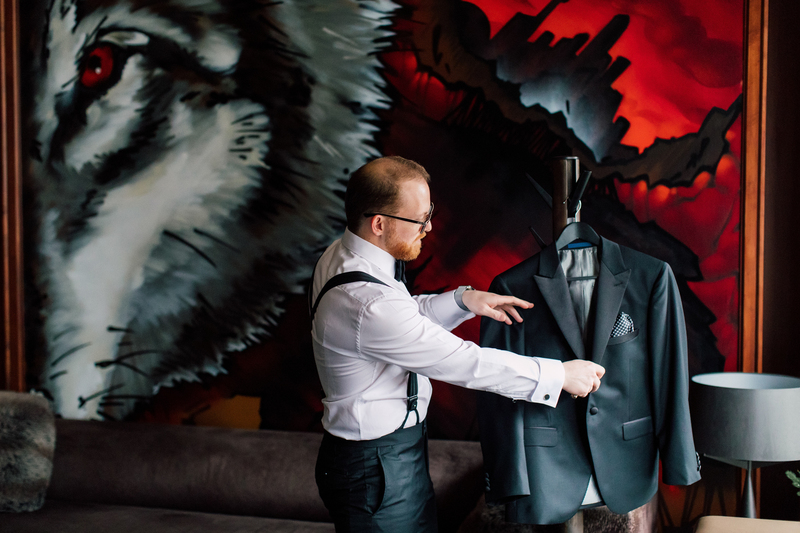 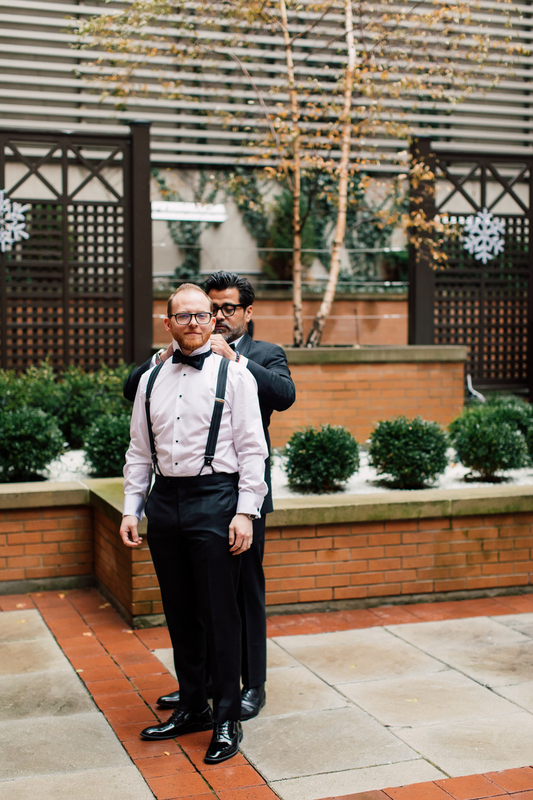 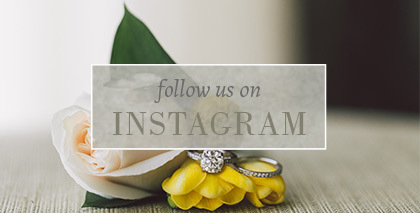 We can’t wait to get back there to see what other brides and grooms put together! 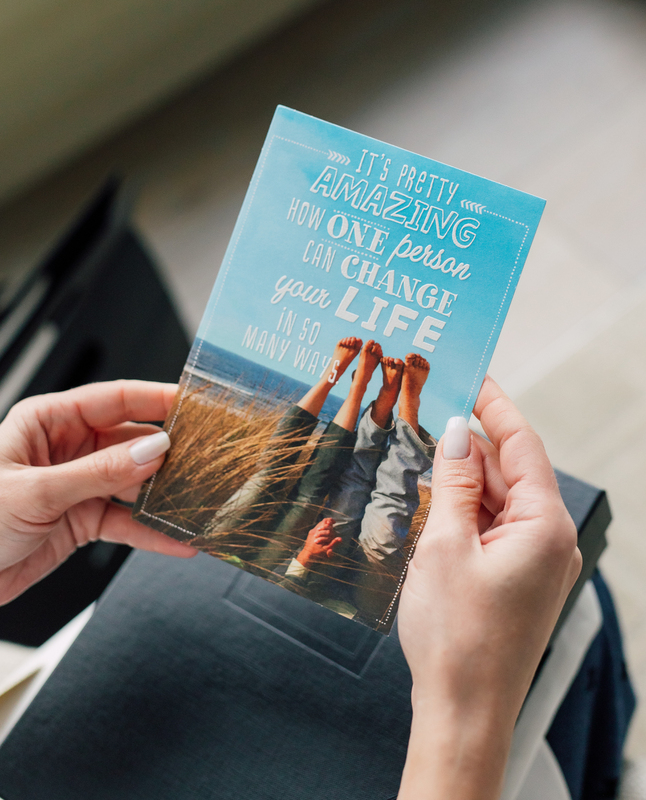 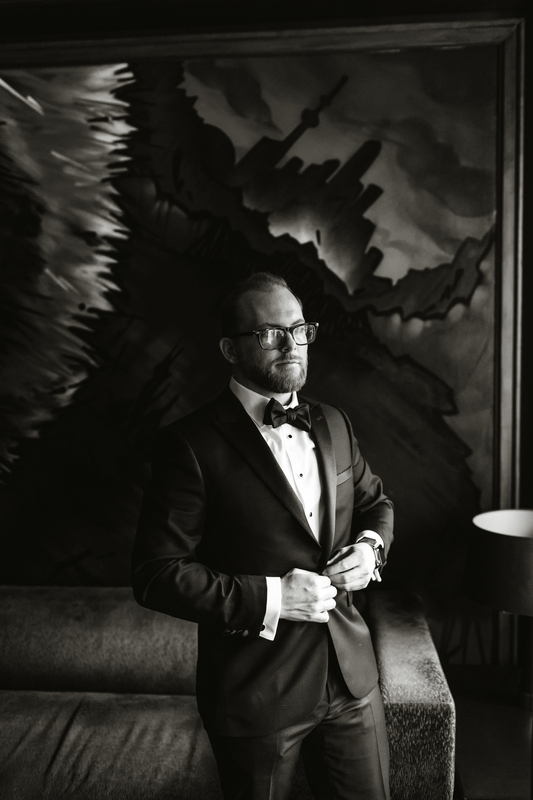 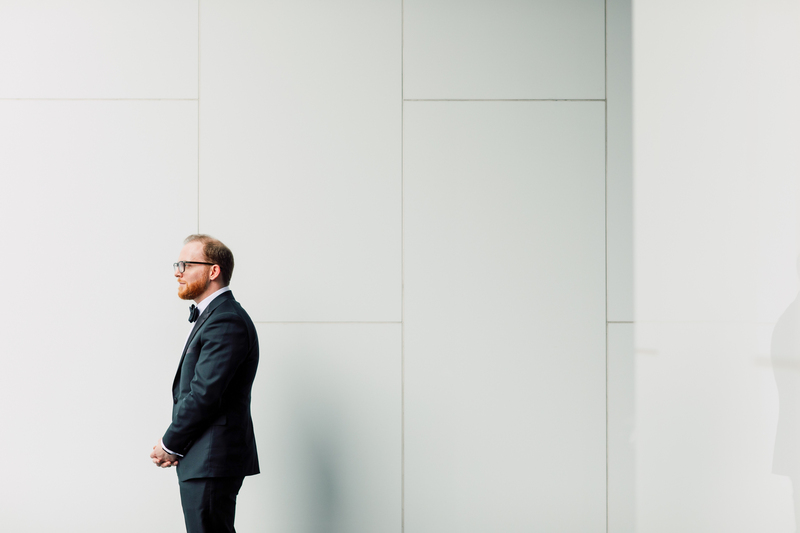 Planner – Lexington and Co.